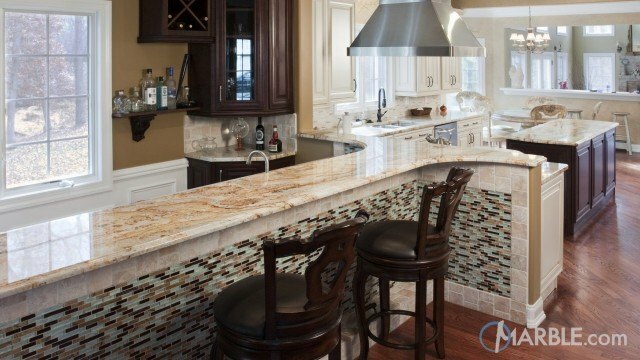 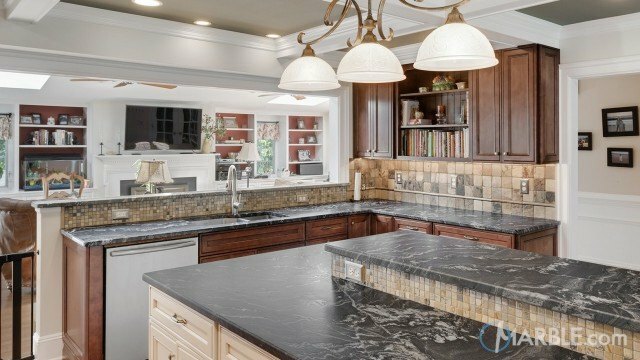 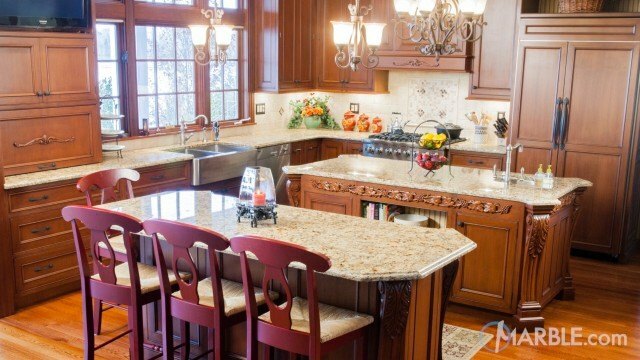 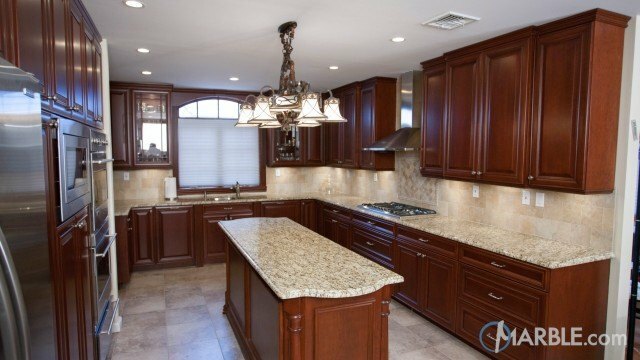 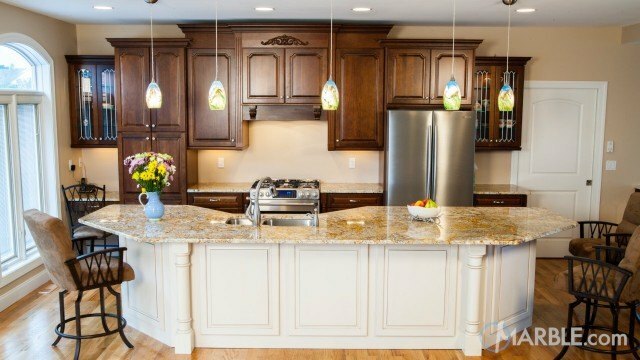 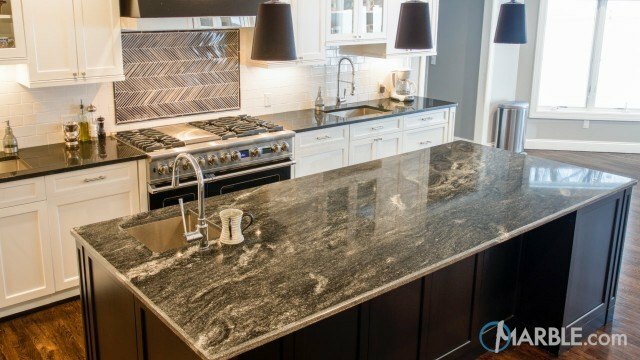 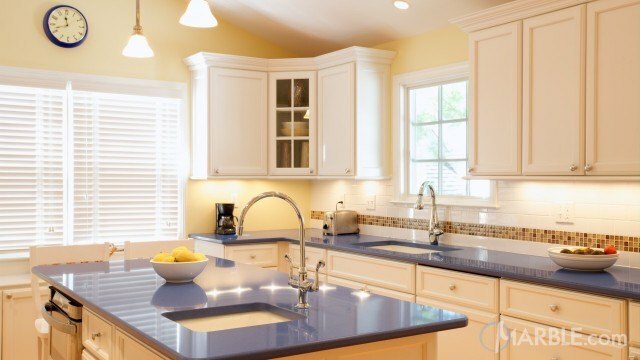 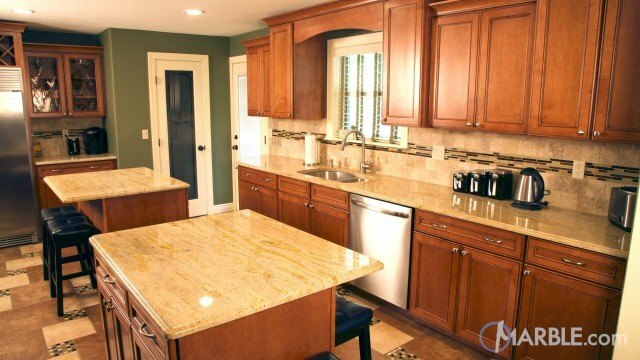 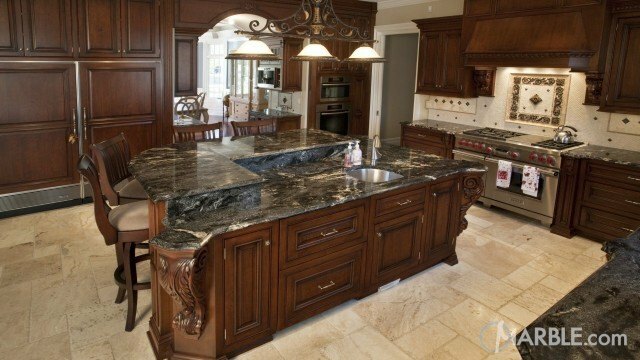 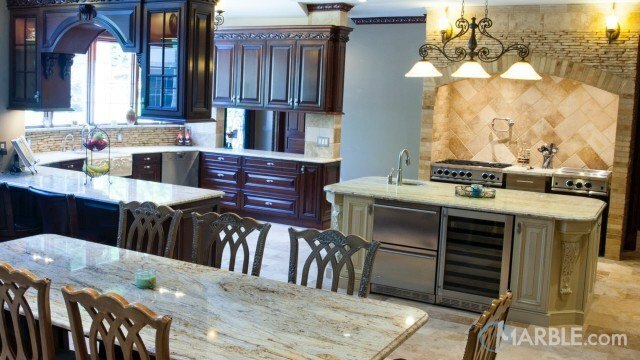 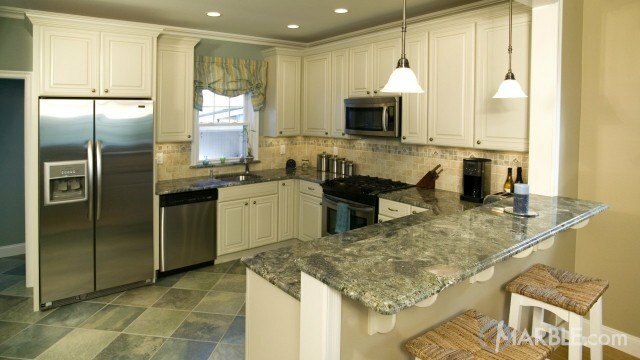 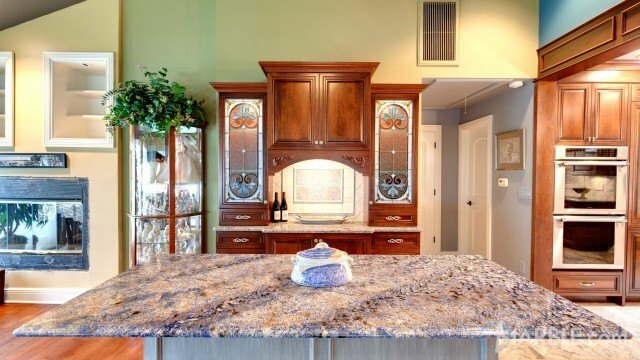 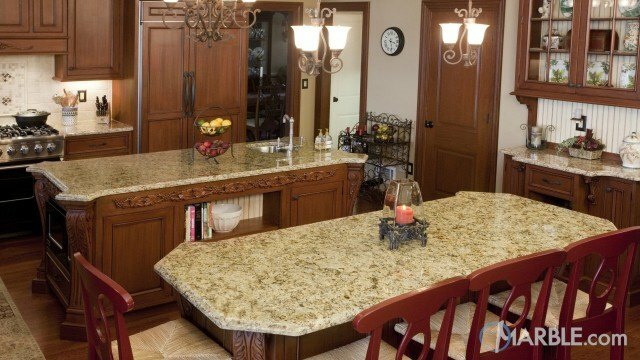 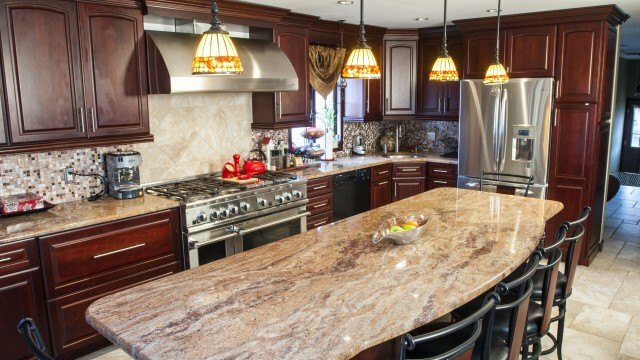 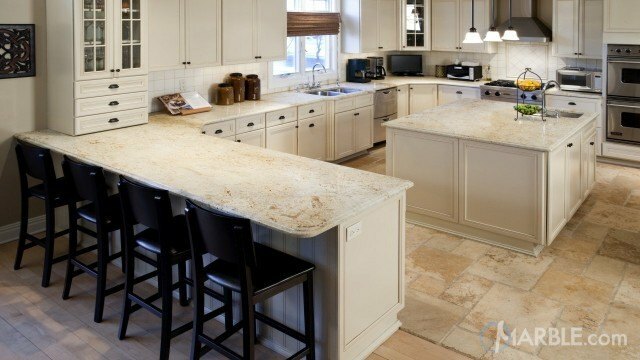 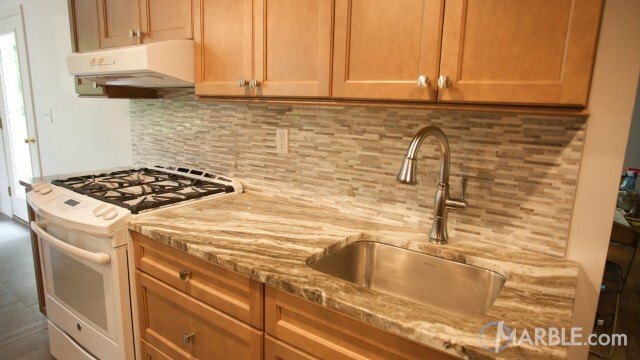 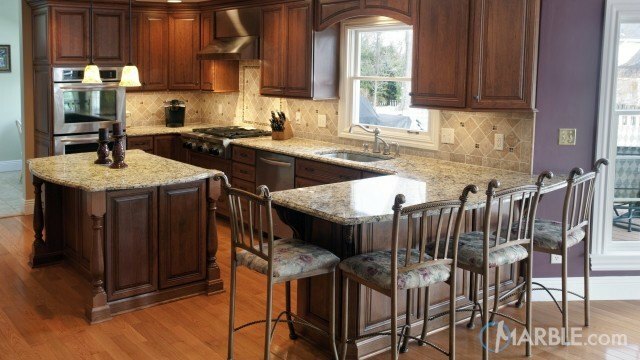 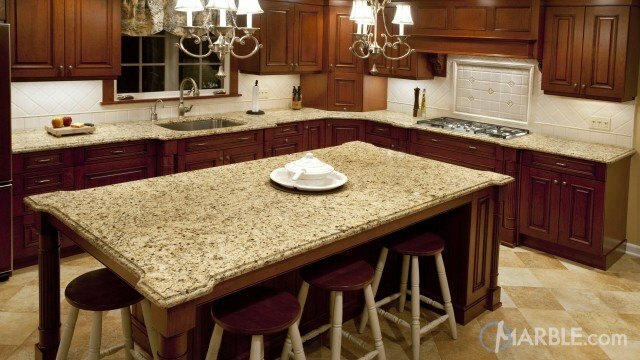 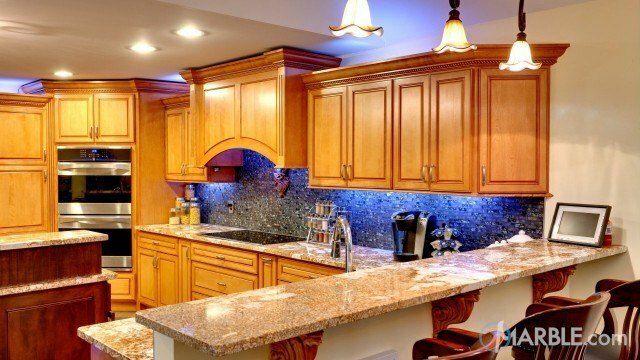 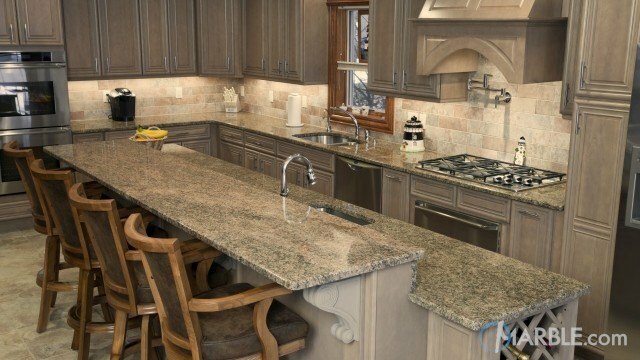 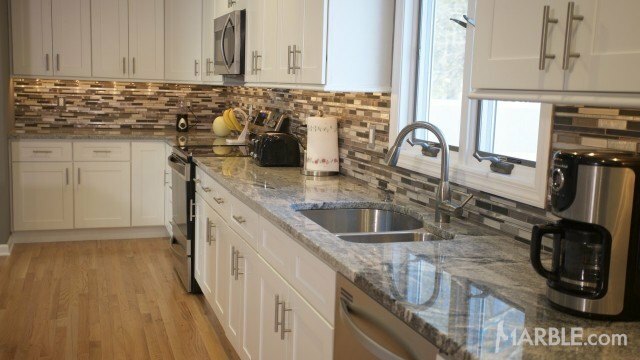 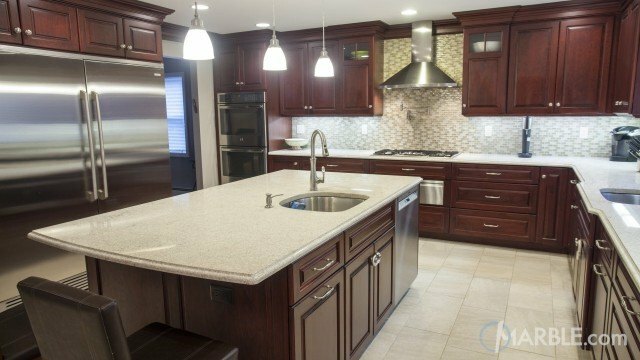 Atlantis Granite Kitchen Counters Design Ideas and Gallery. 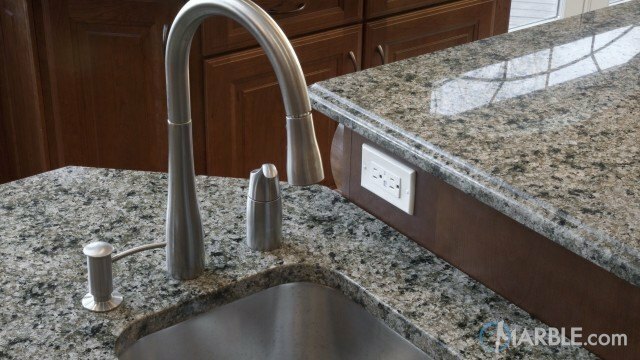 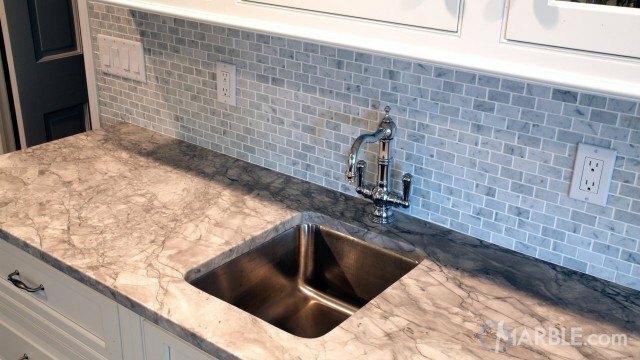 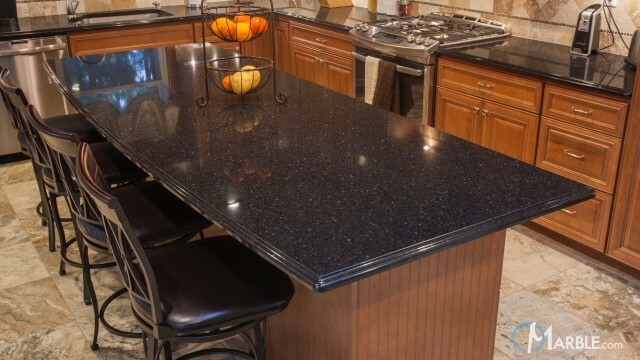 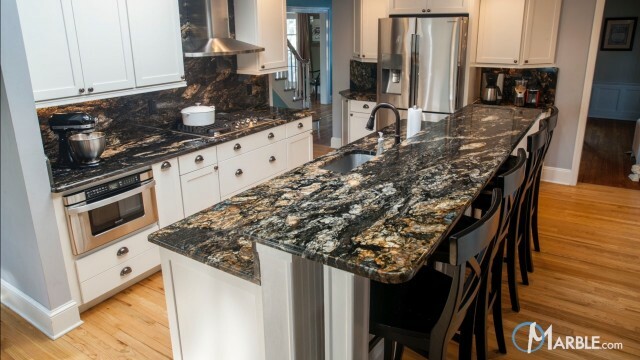 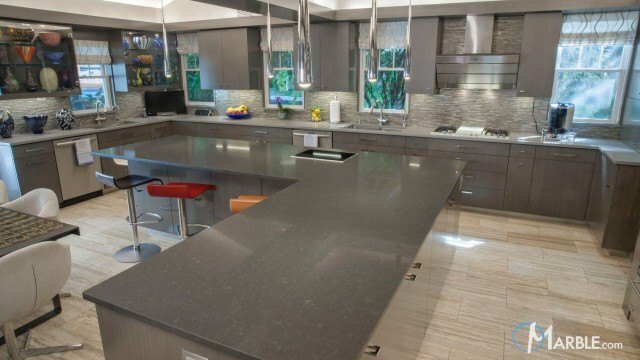 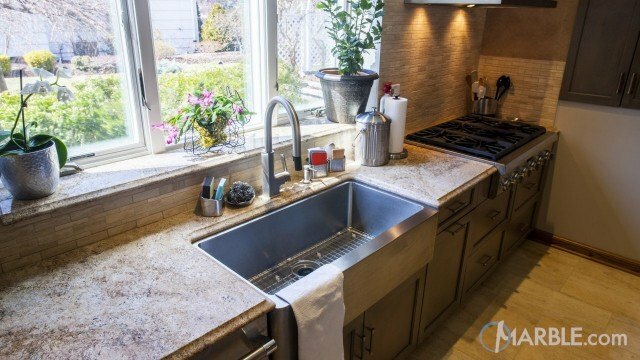 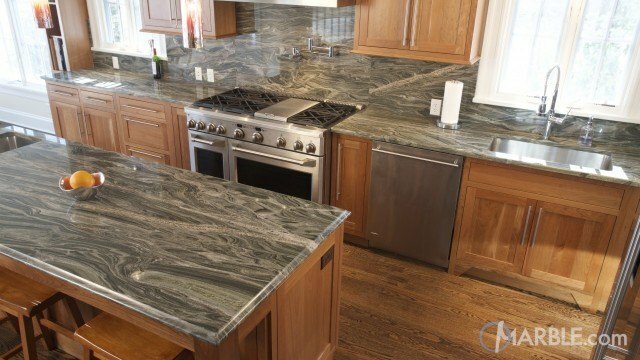 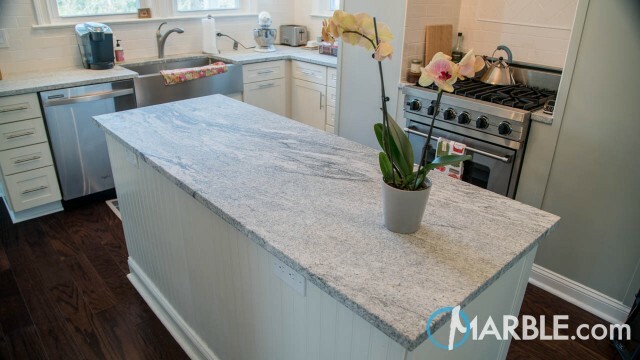 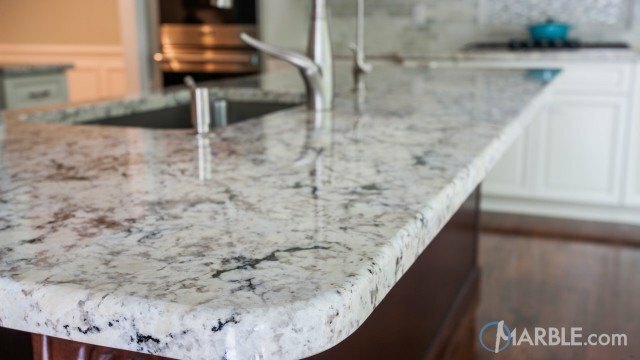 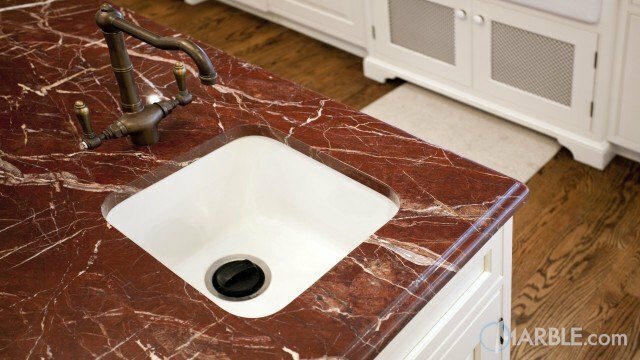 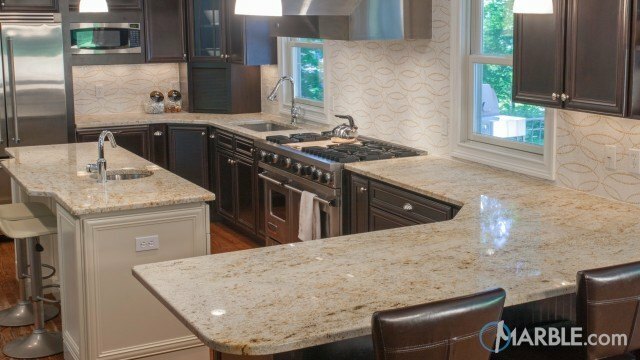 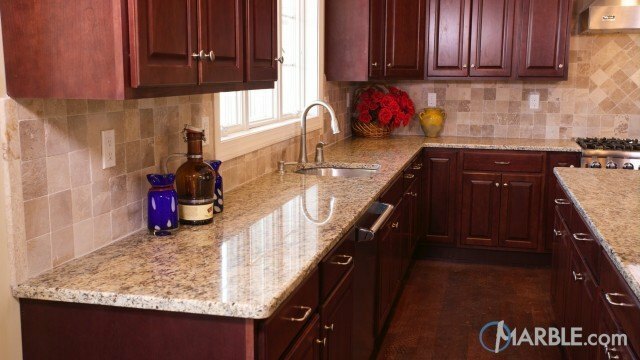 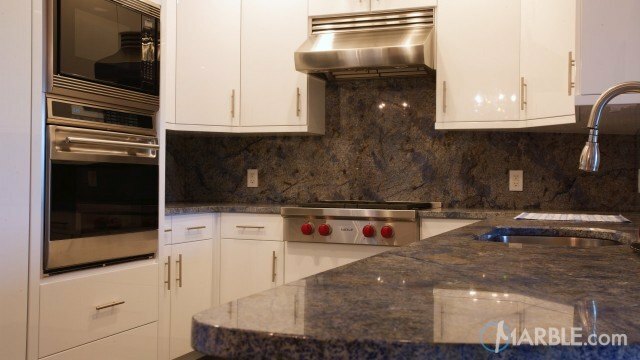 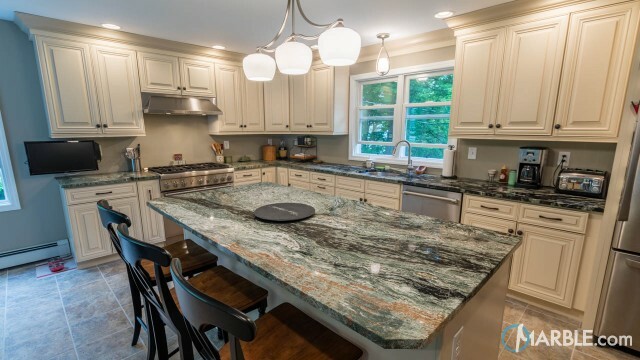 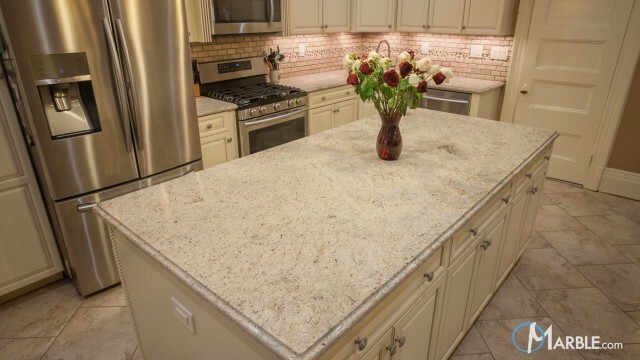 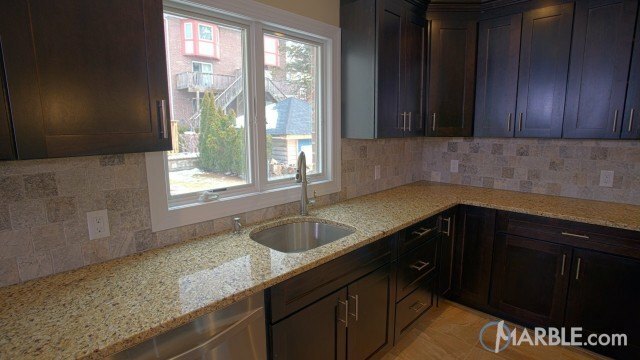 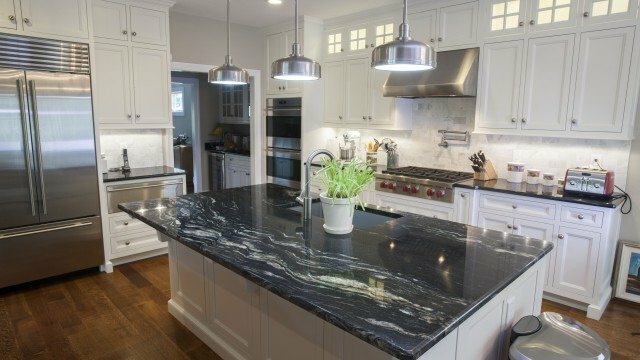 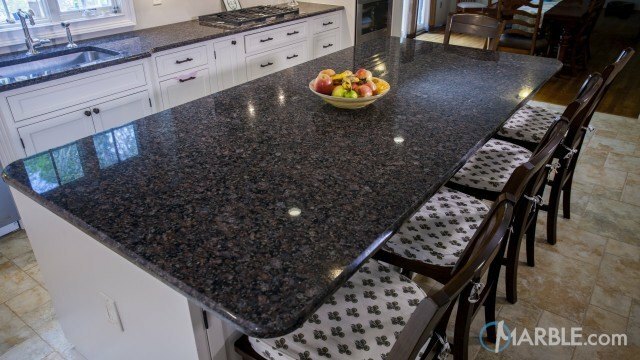 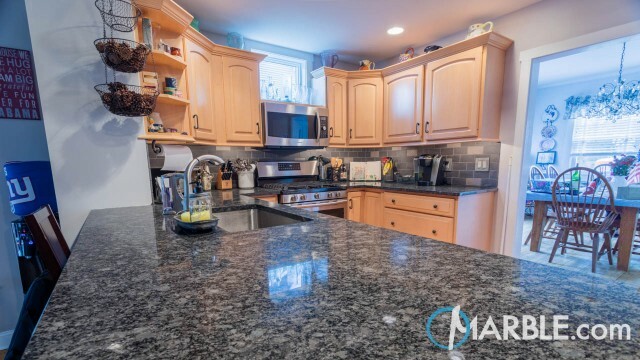 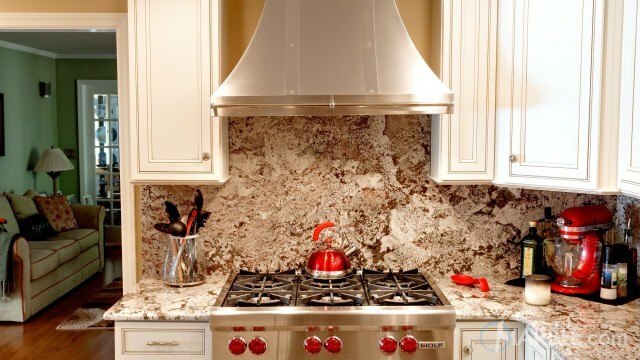 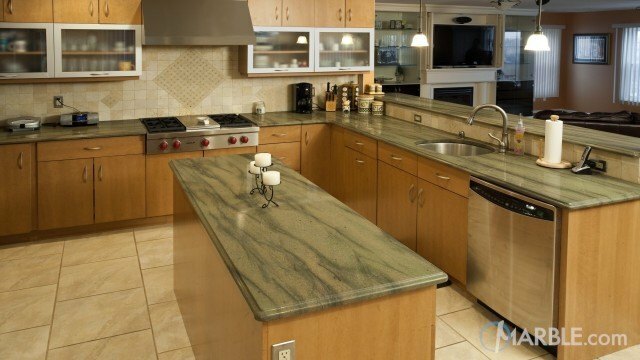 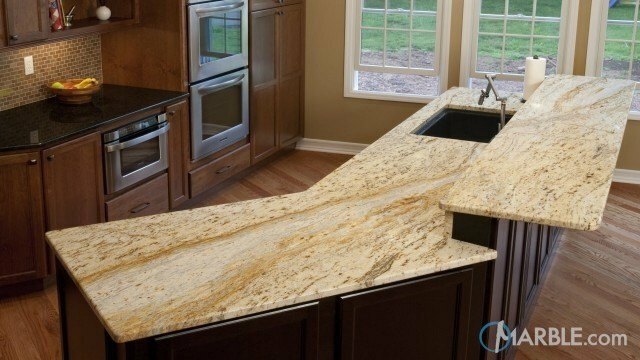 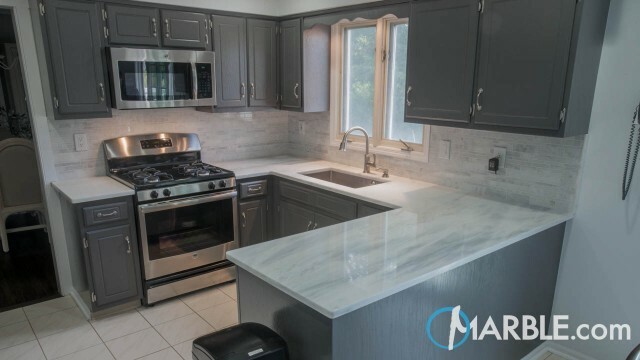 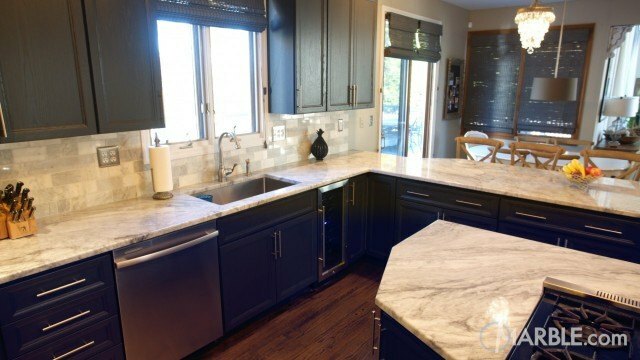 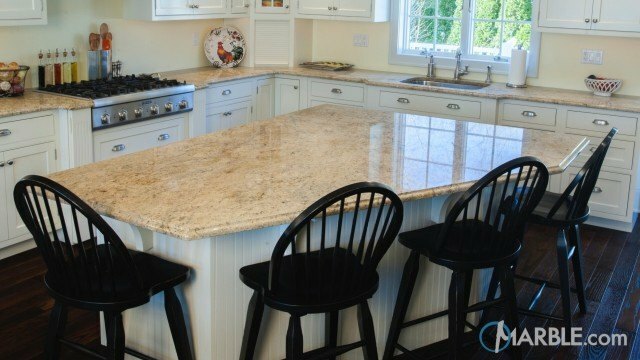 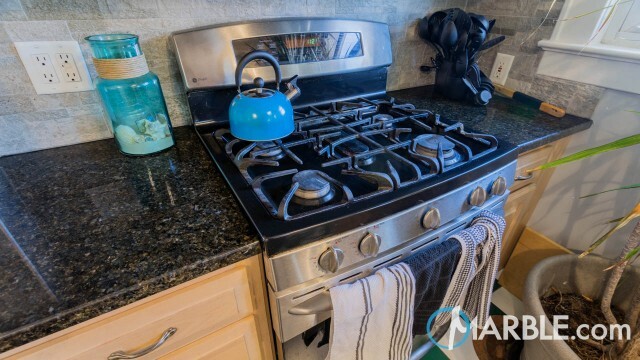 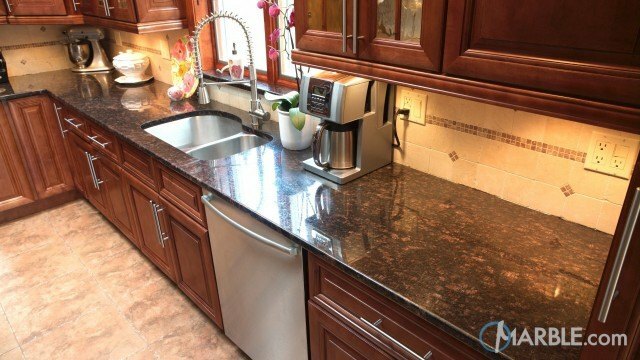 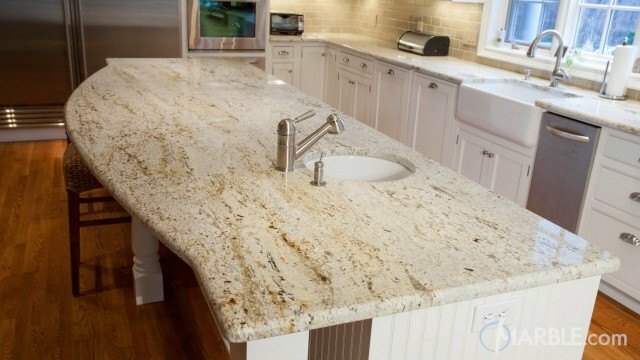 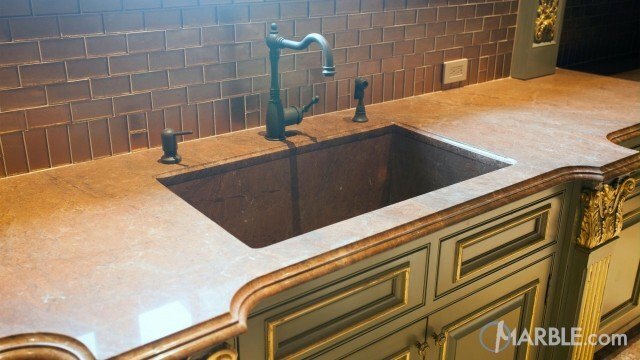 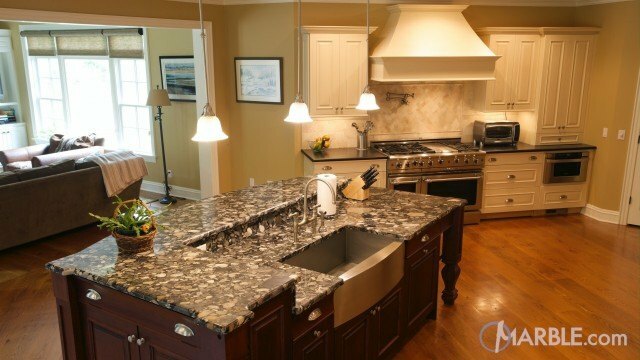 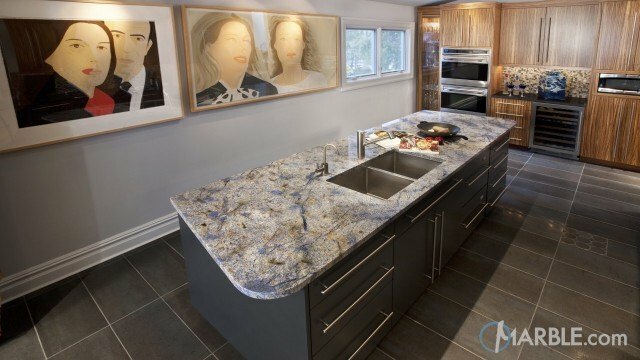 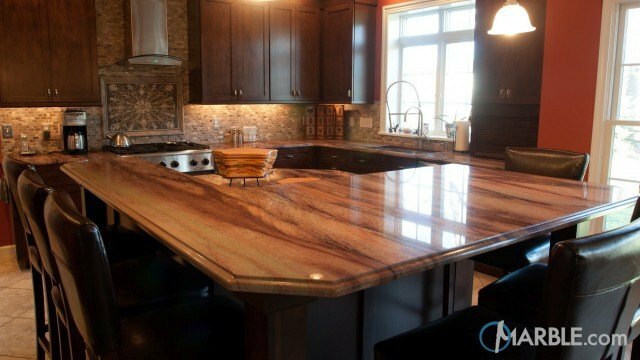 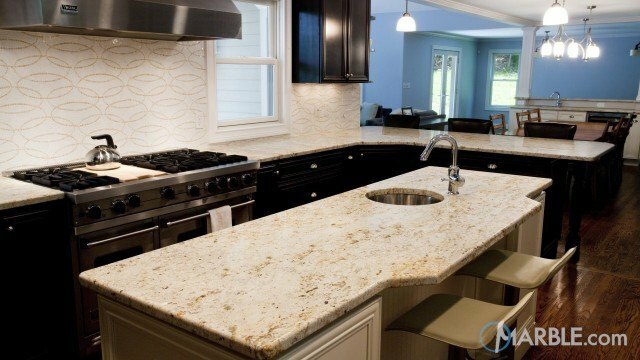 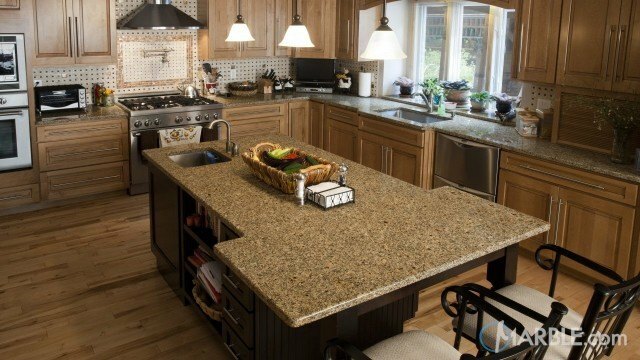 This countertop is made of Atlantis Granite and features an Ogee Edge. 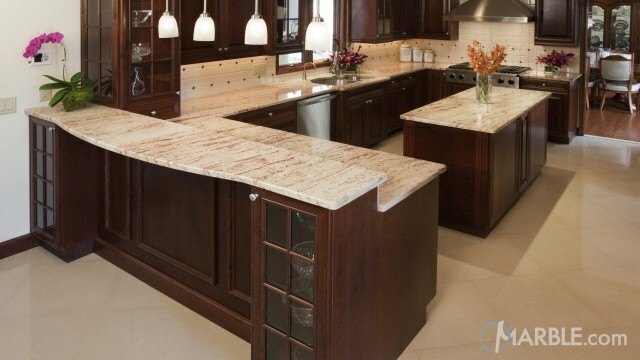 The edge is shaped like an S, and is installed on a mid-brown island, which gives the kitchen a distinct look. 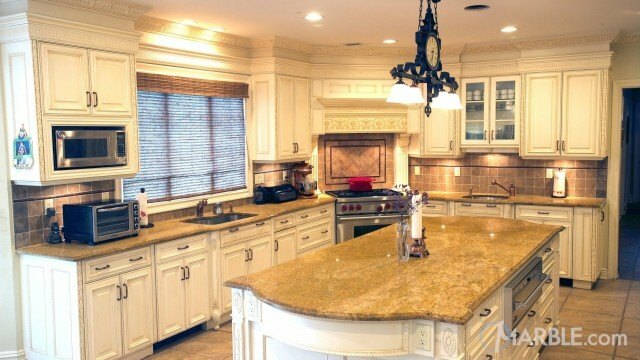 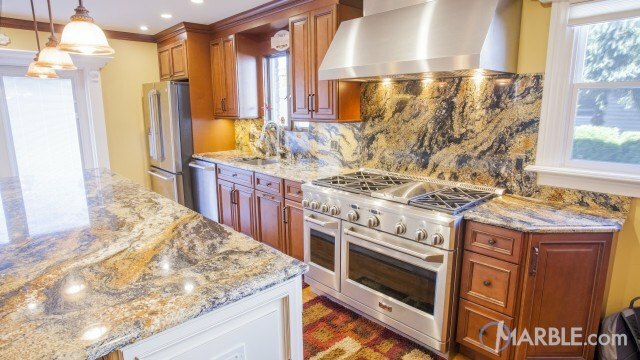 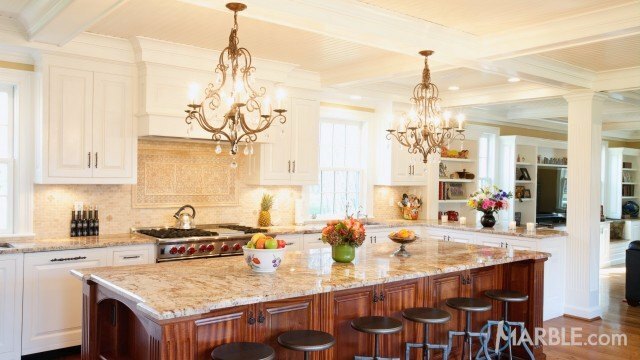 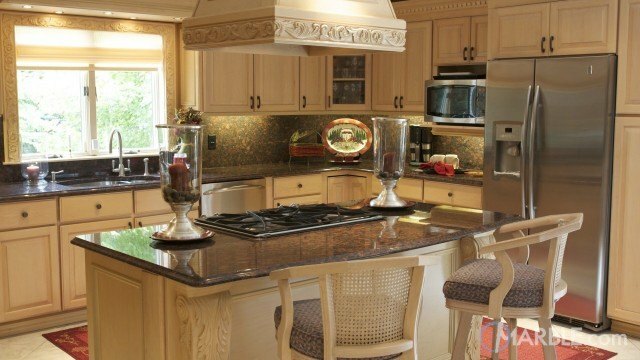 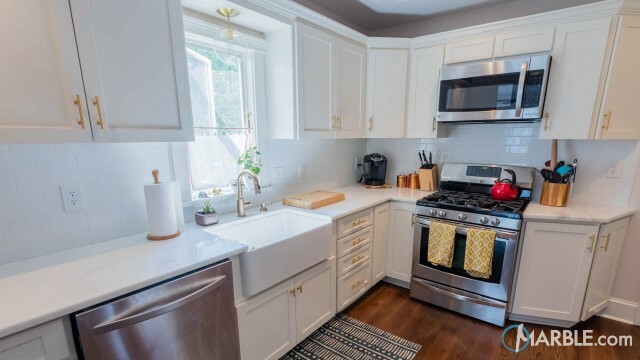 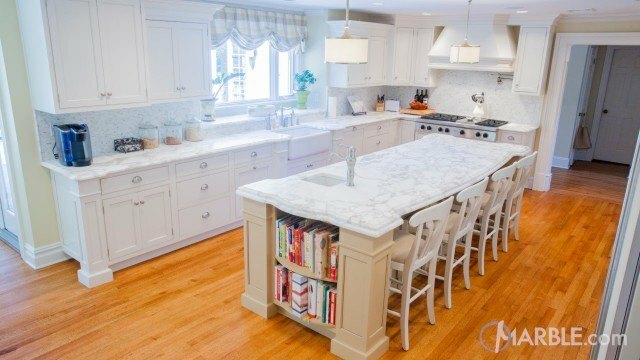 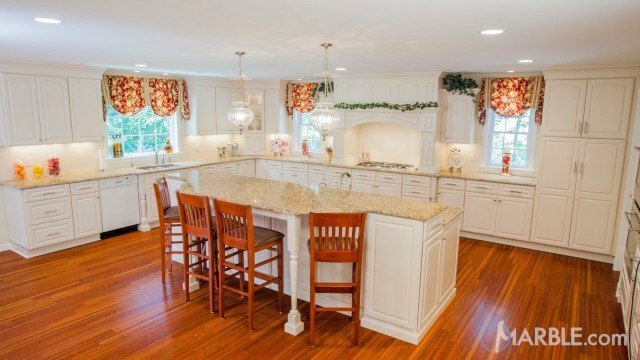 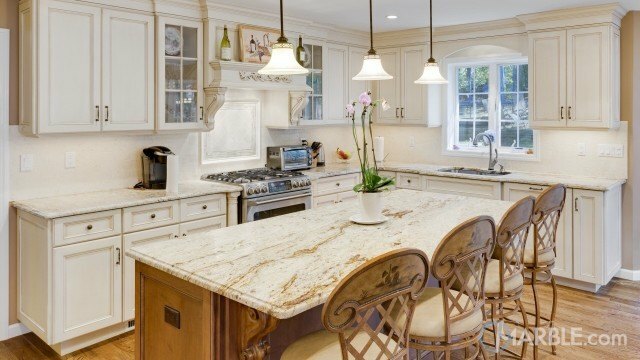 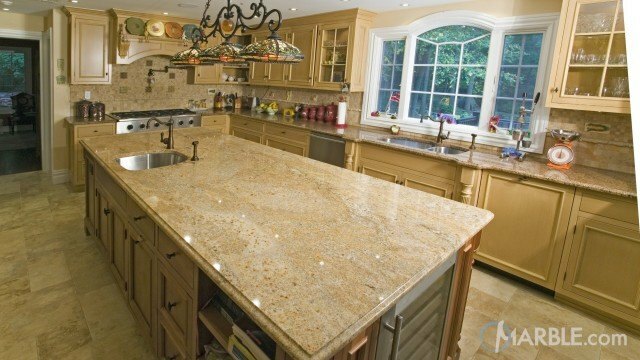 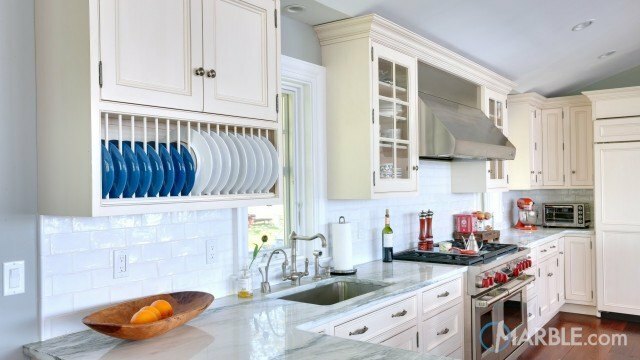 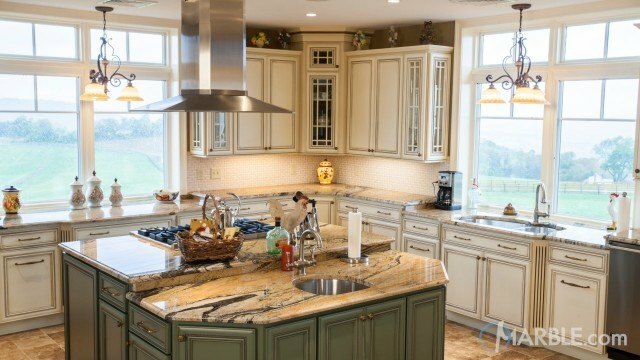 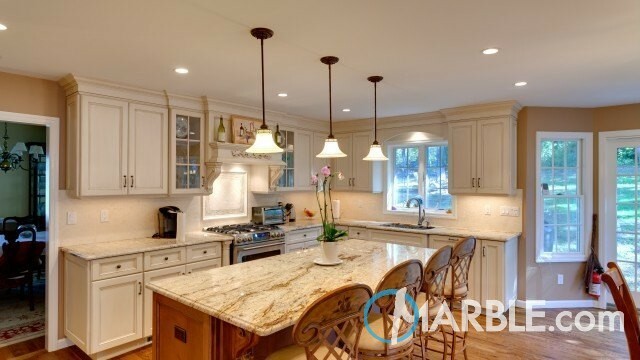 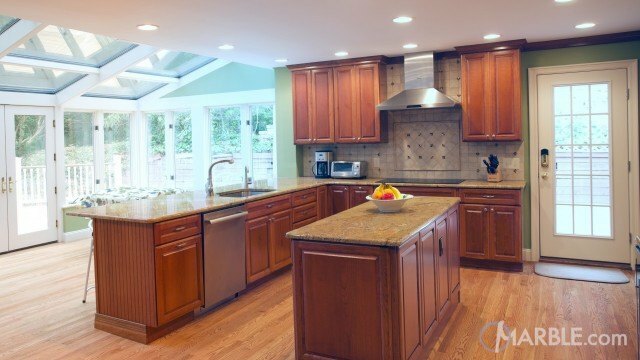 Creams, gold and browns flow through the counter top on the island and work spaces provide a very cook-friendly kitchen. 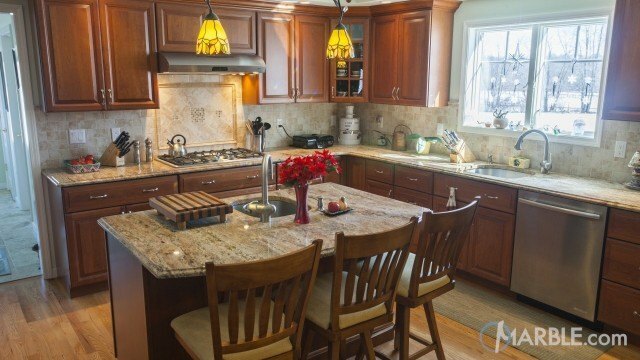 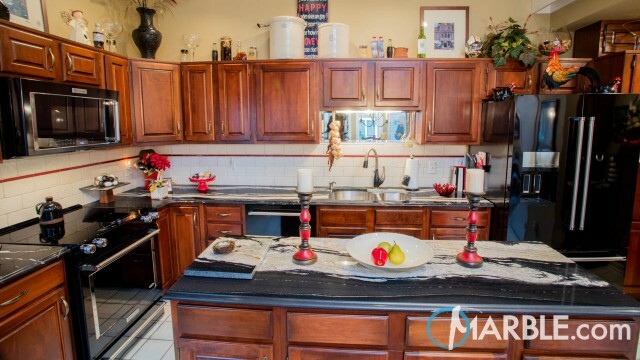 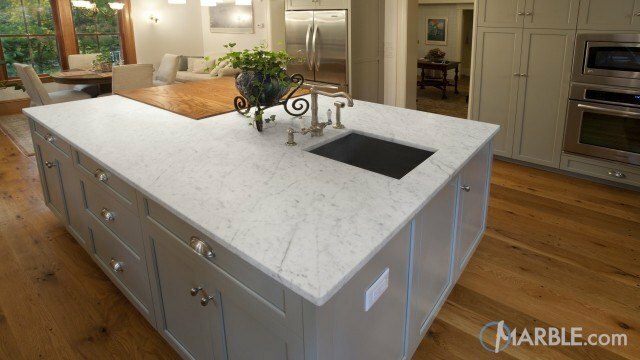 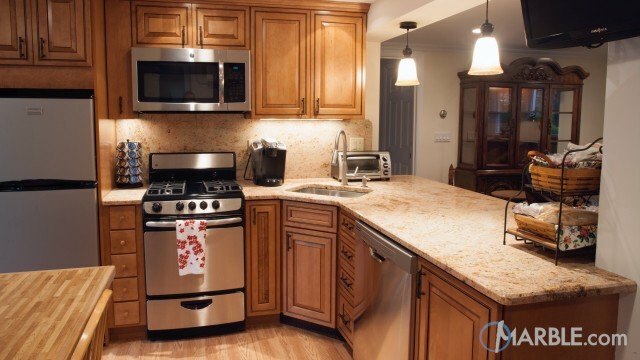 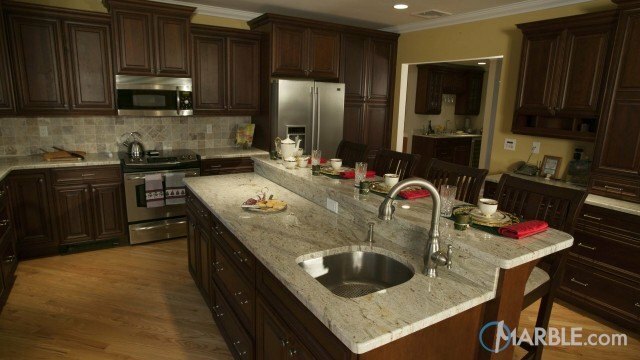 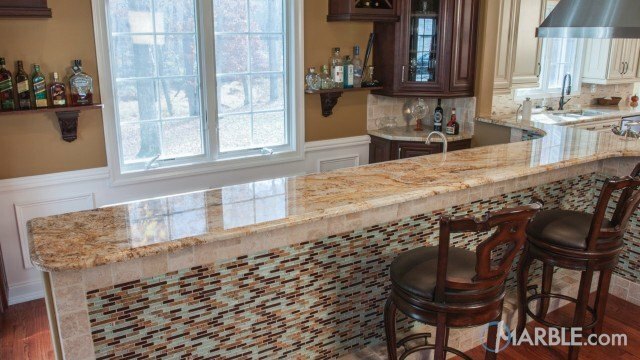 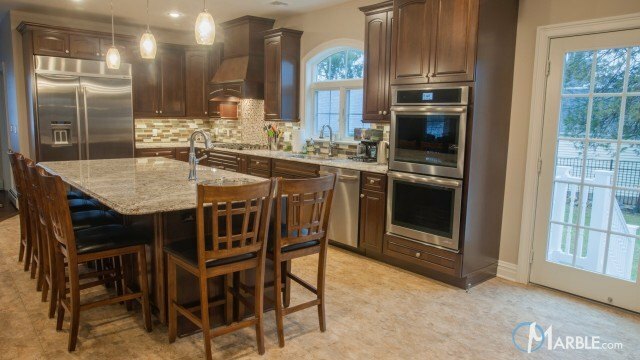 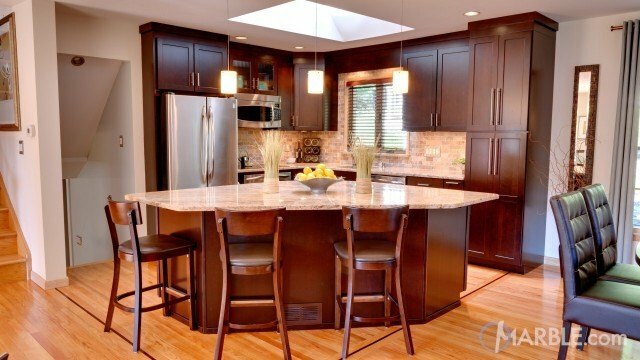 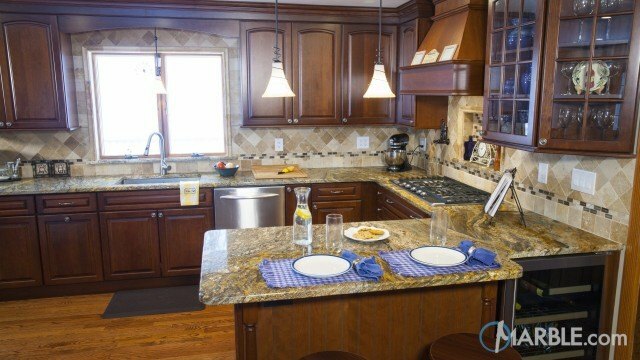 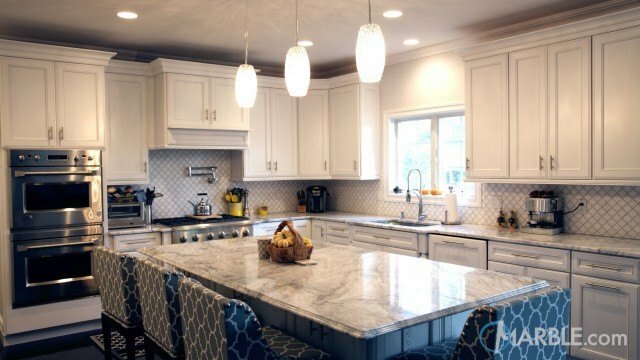 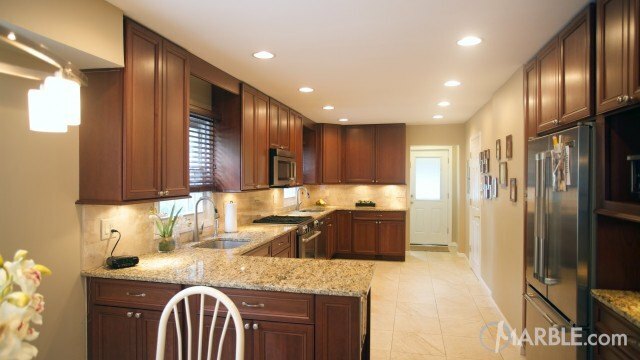 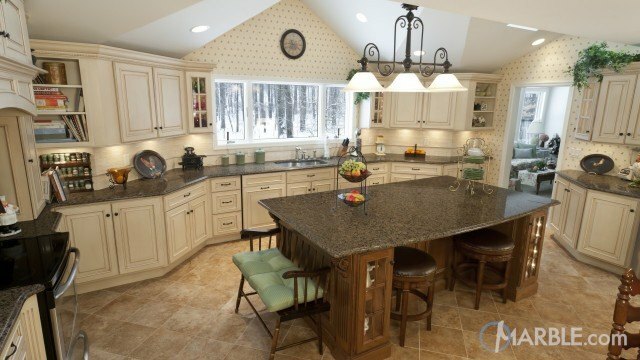 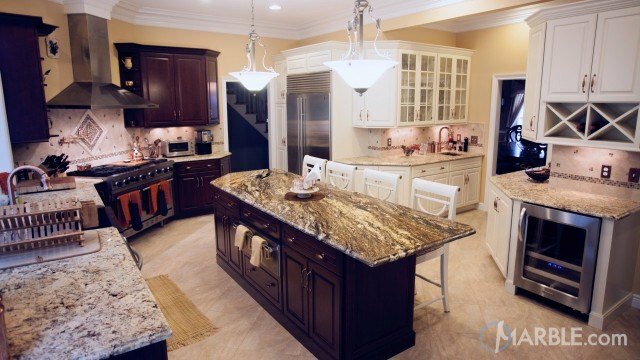 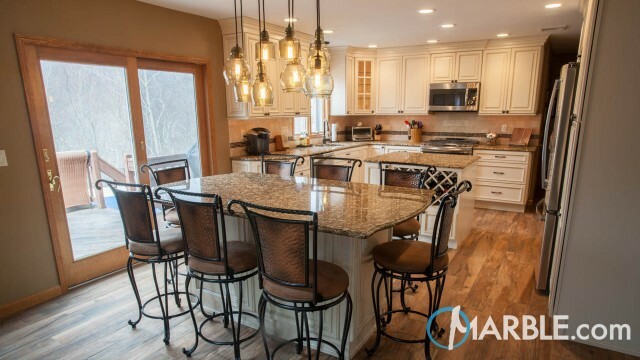 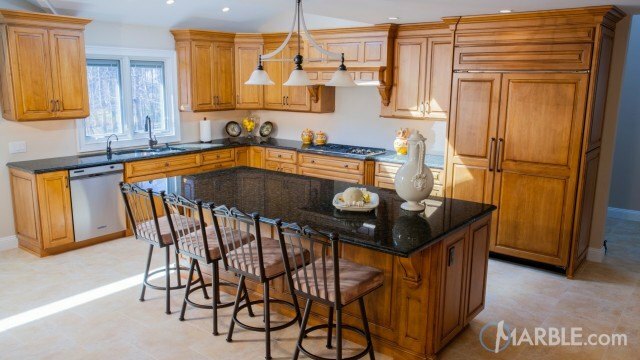 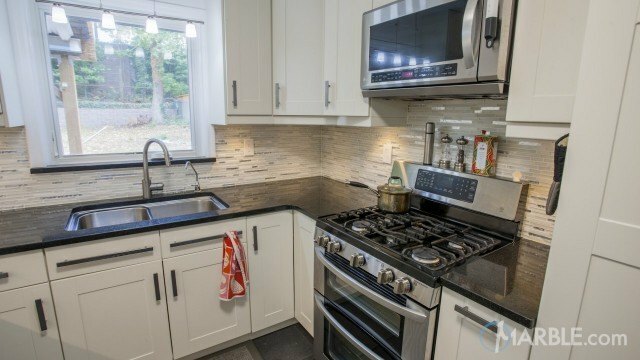 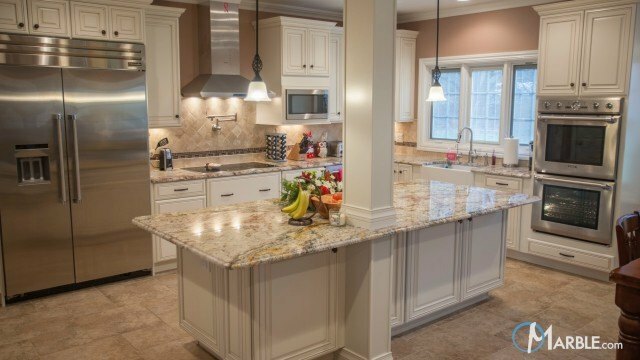 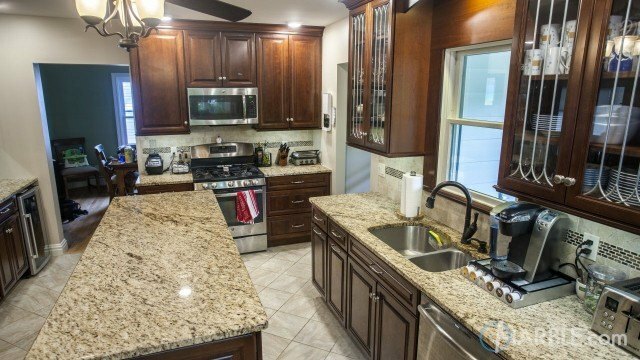 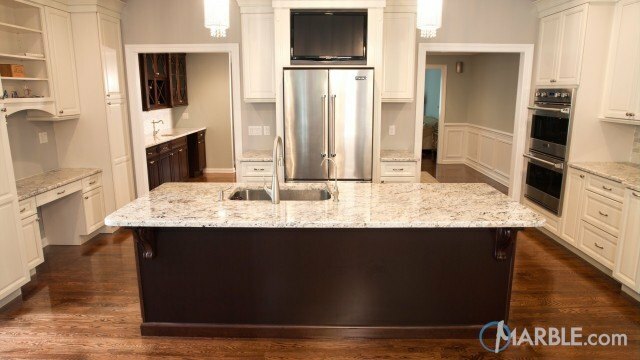 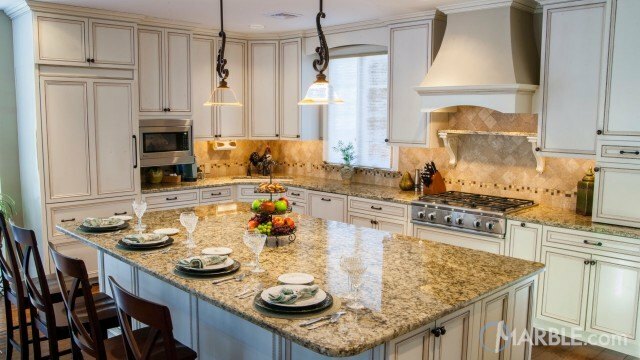 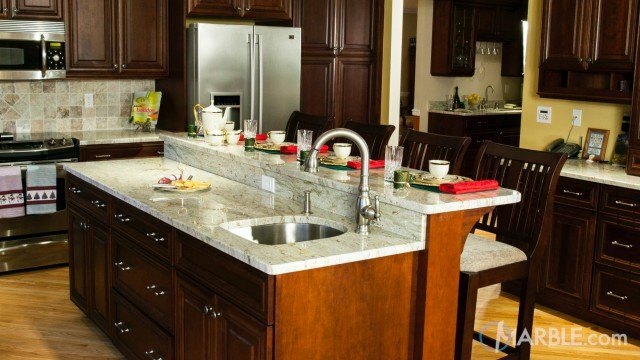 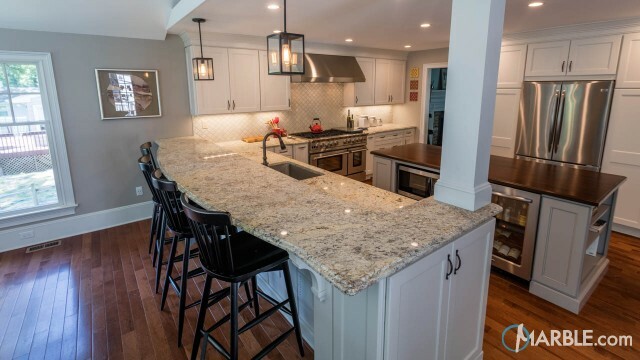 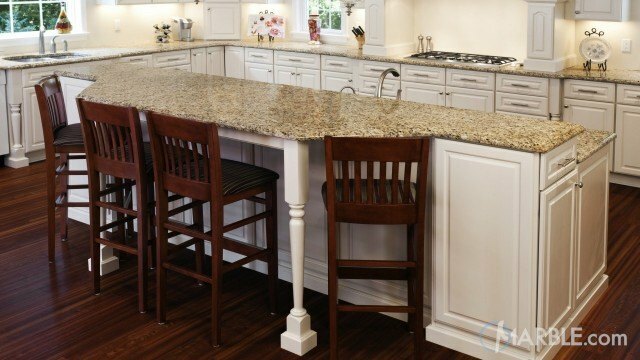 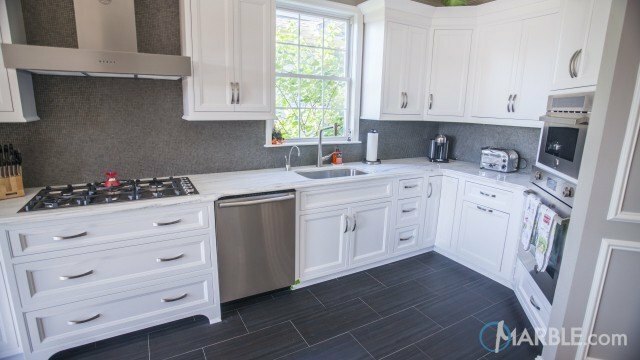 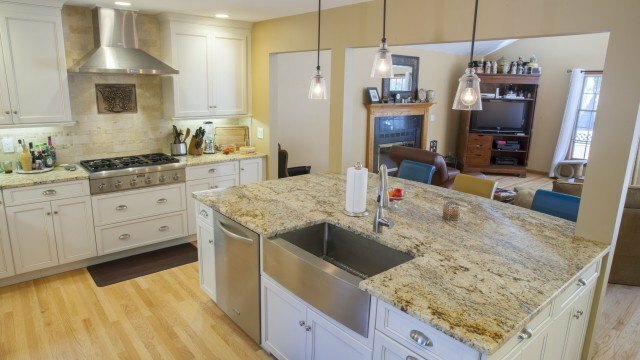 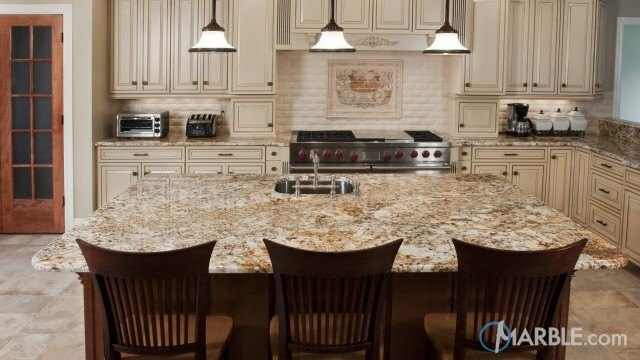 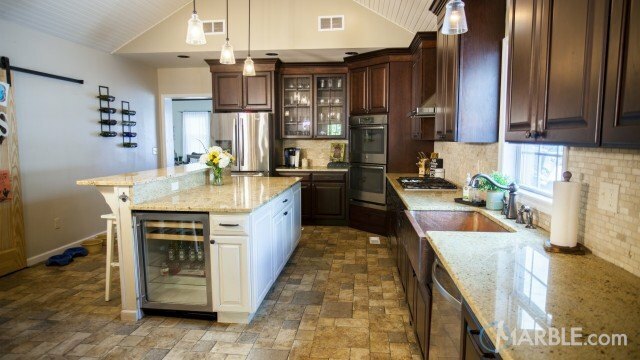 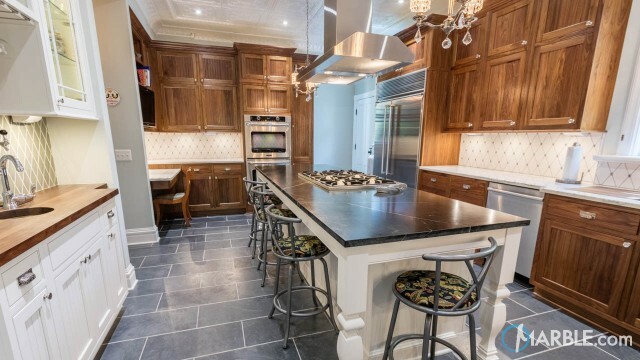 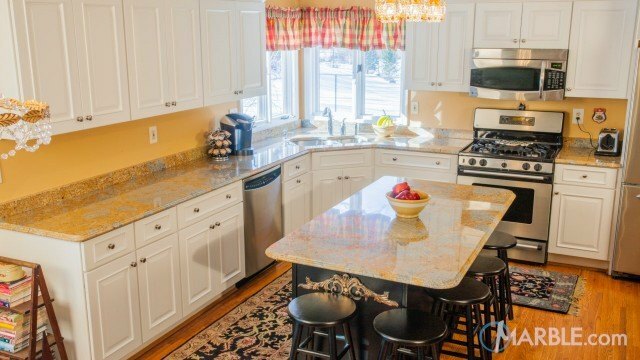 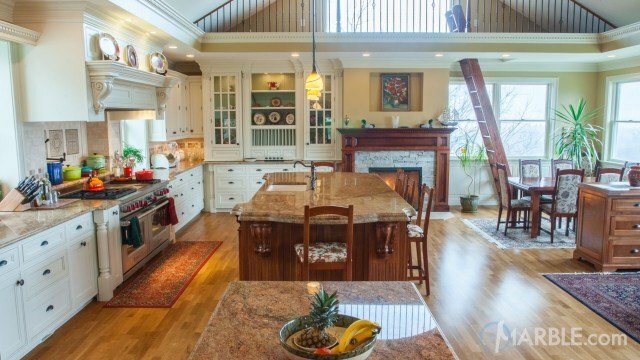 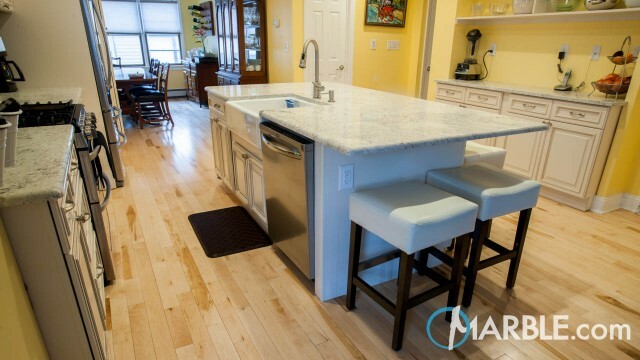 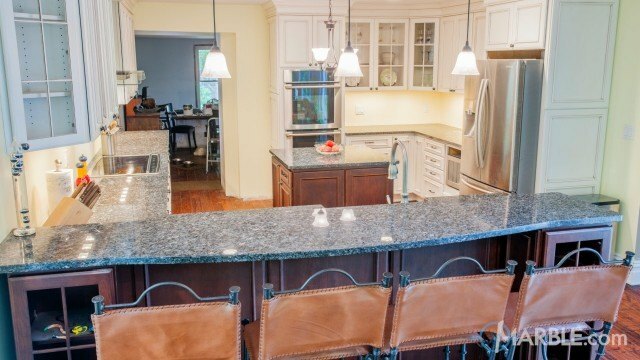 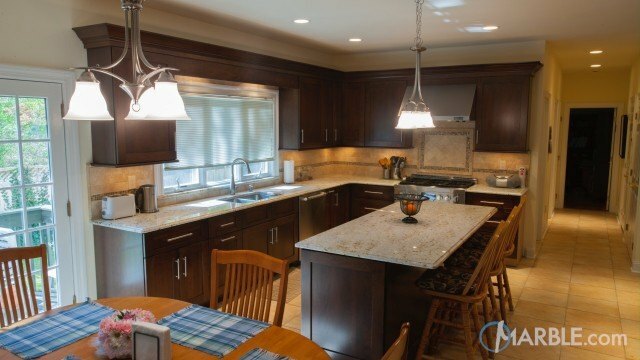 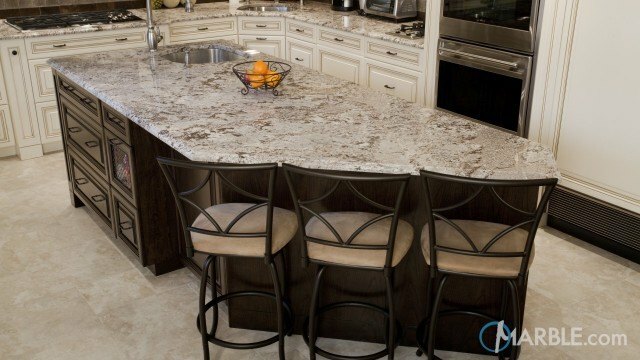 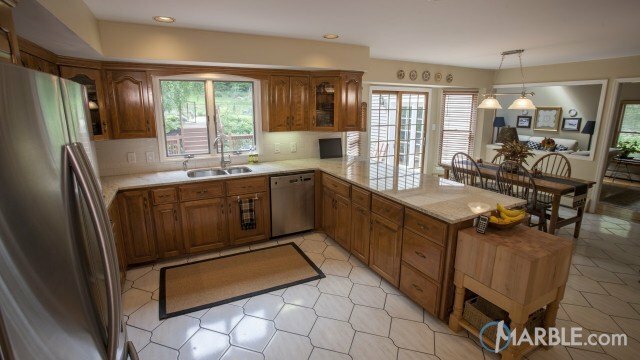 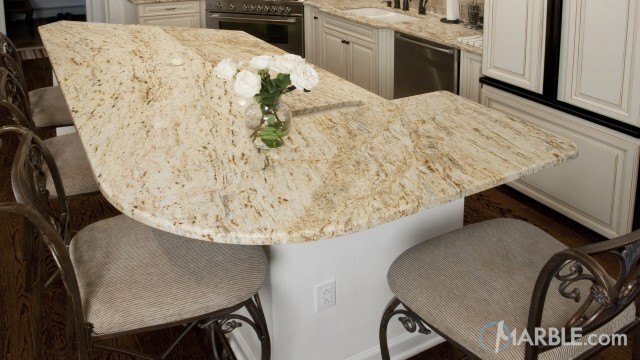 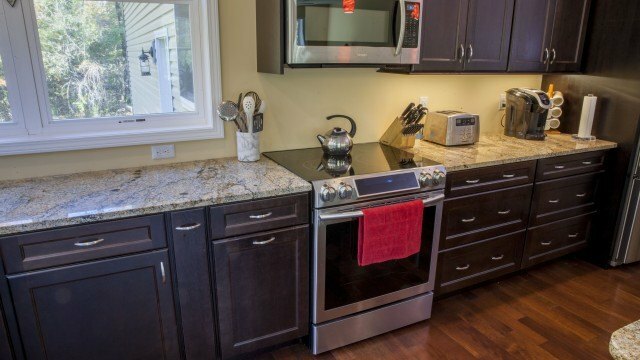 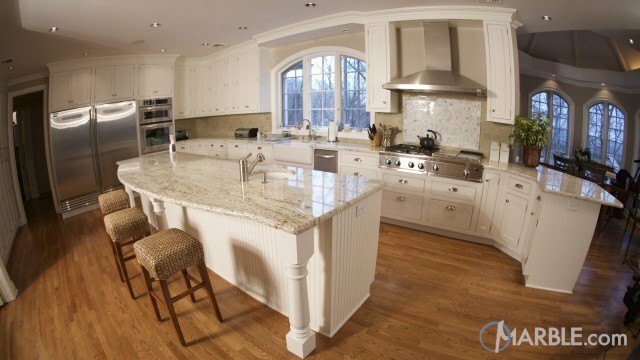 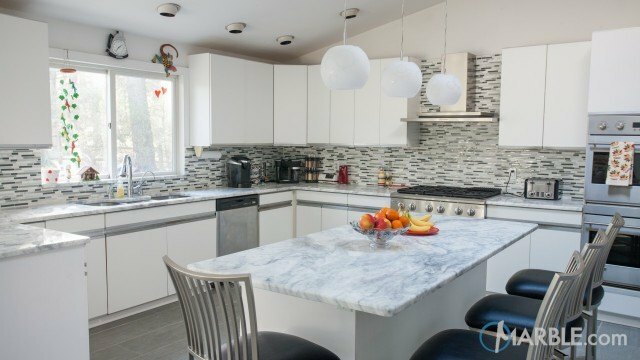 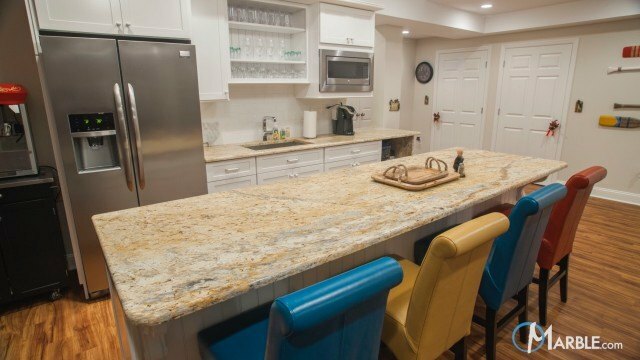 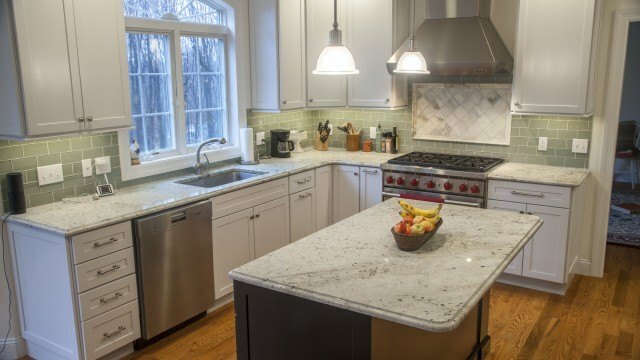 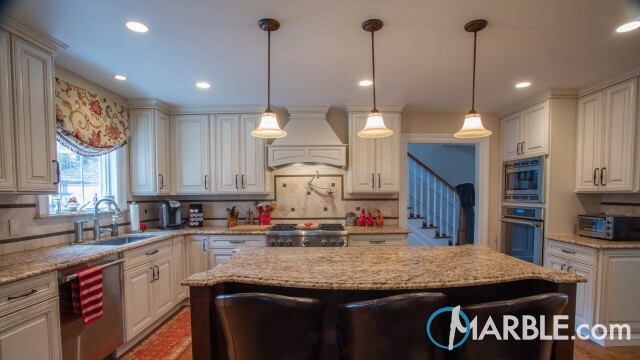 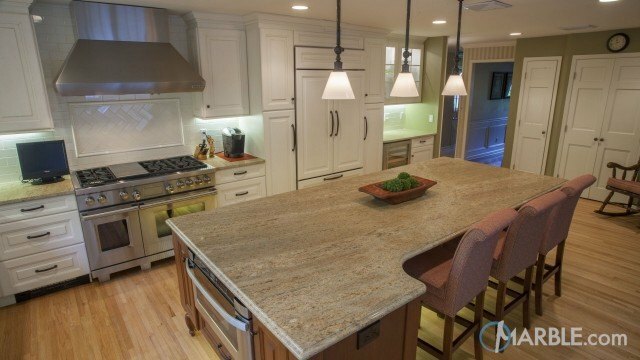 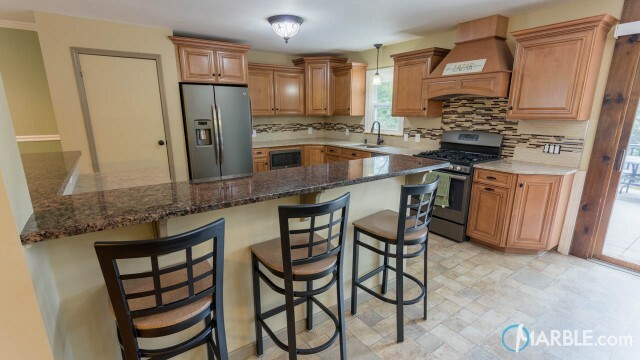 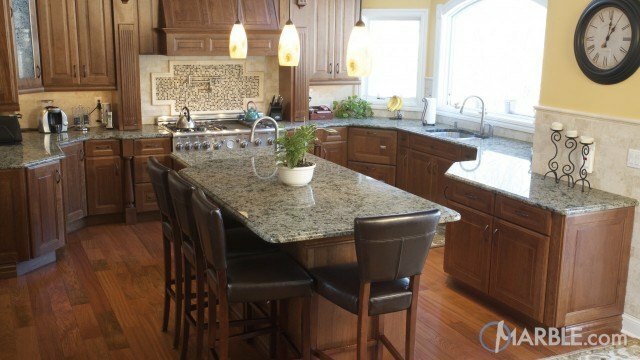 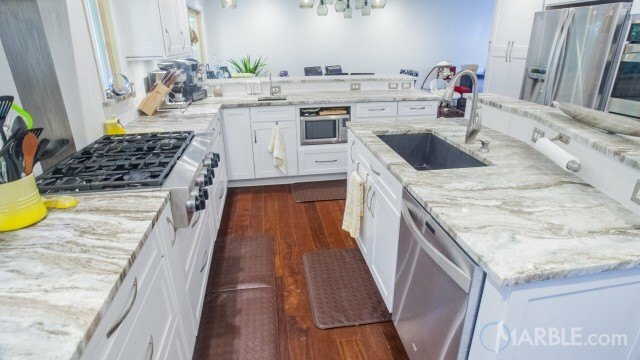 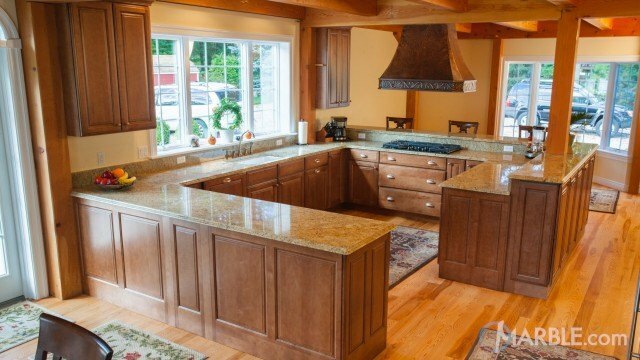 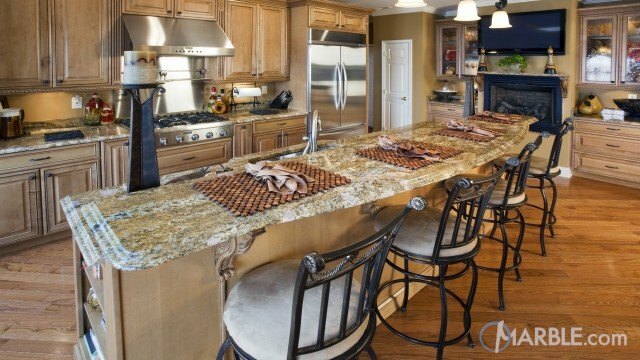 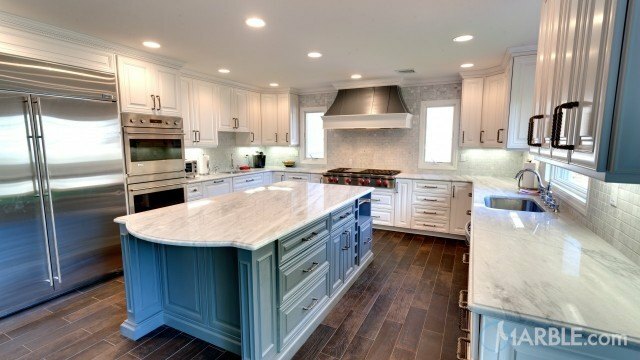 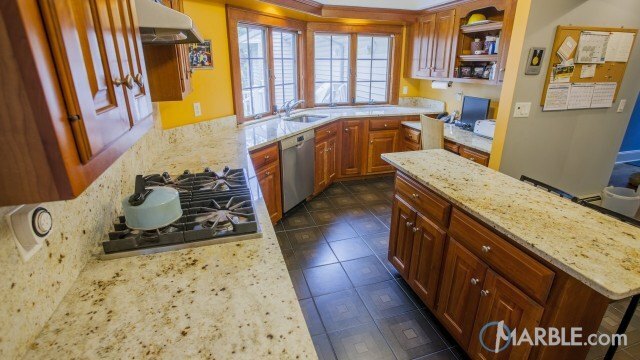 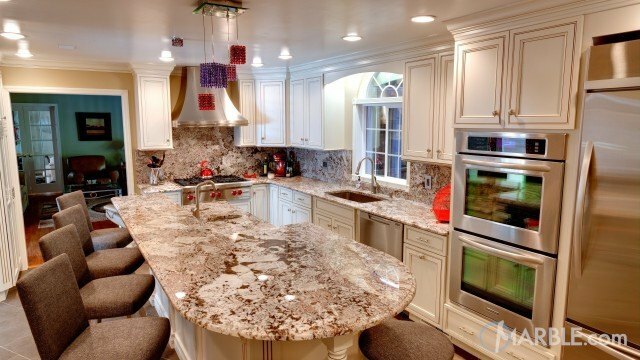 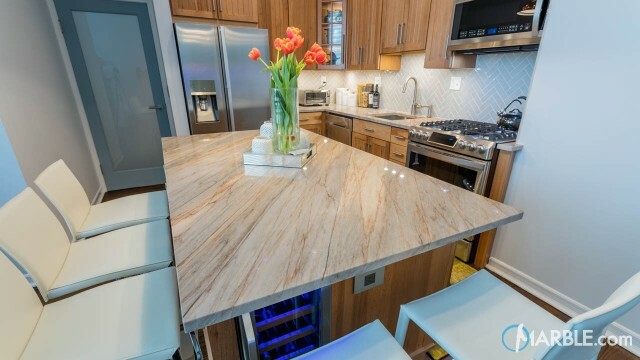 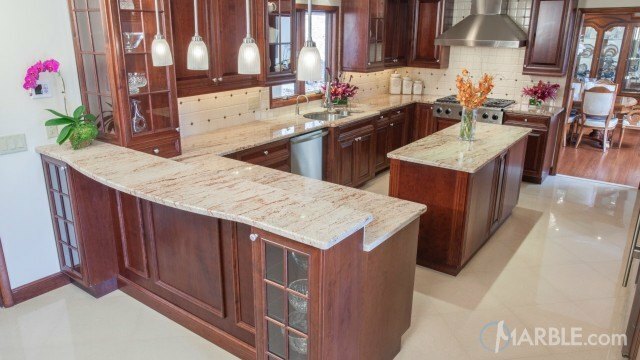 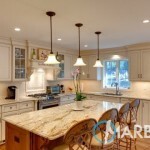 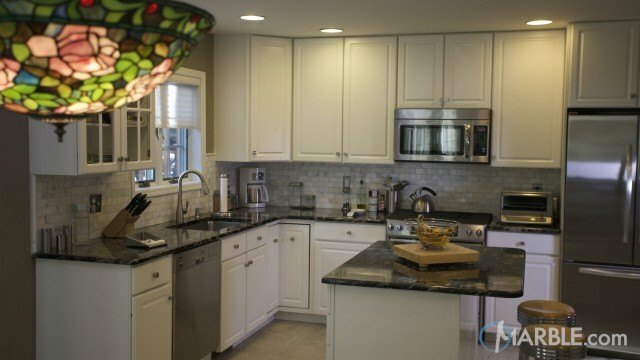 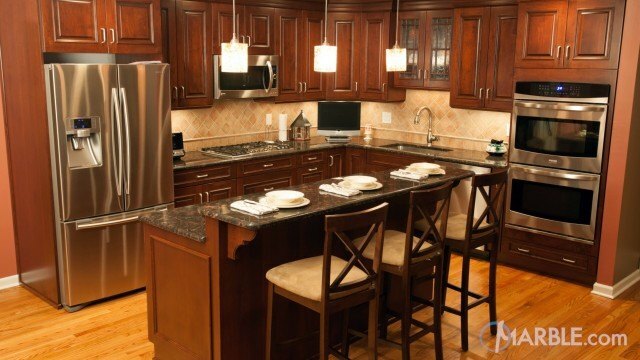 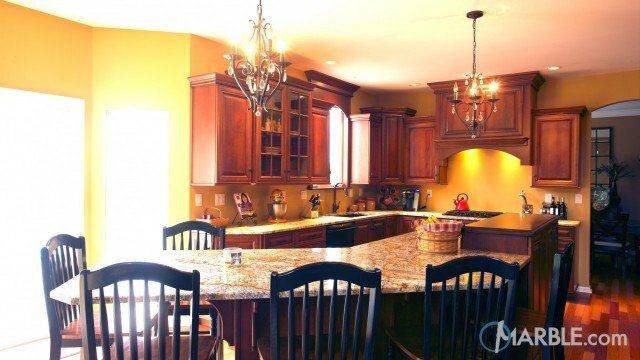 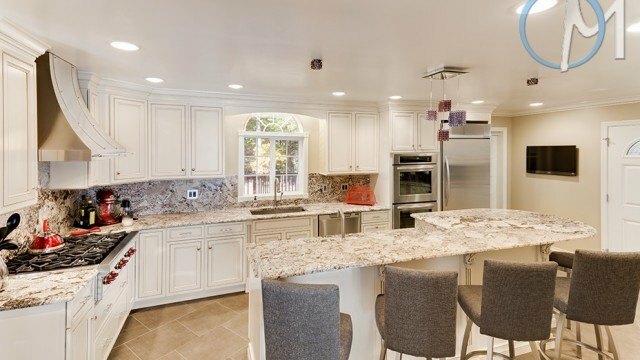 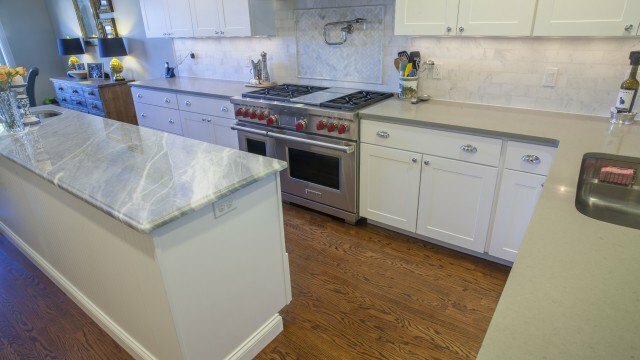 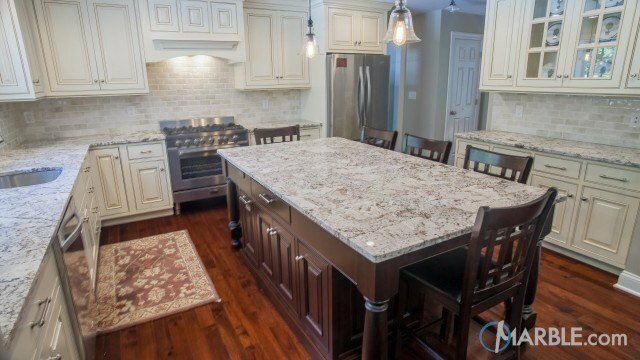 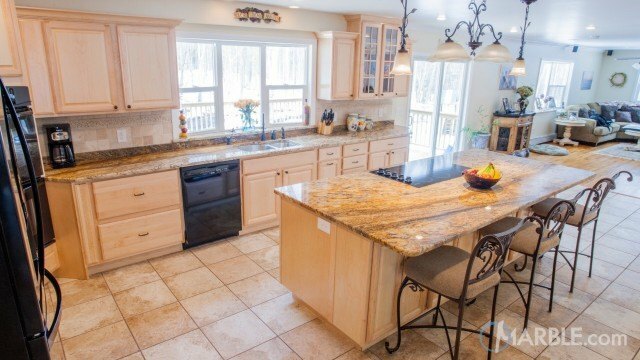 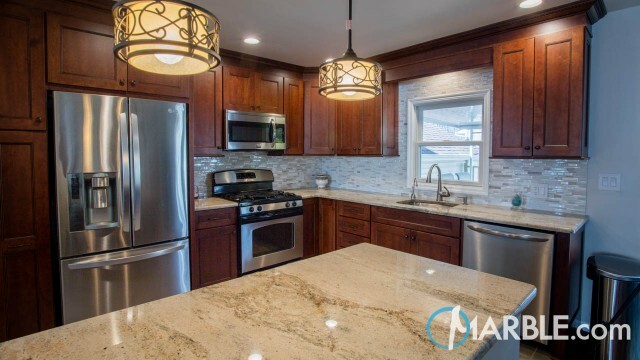 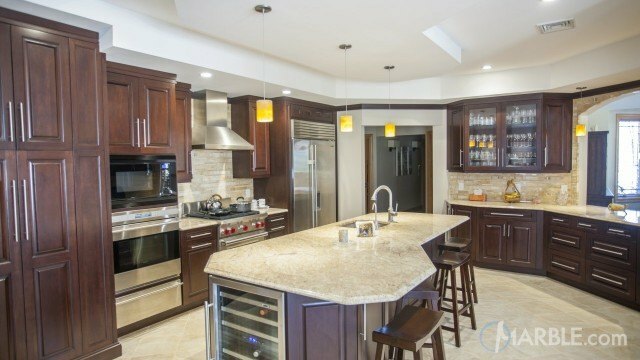 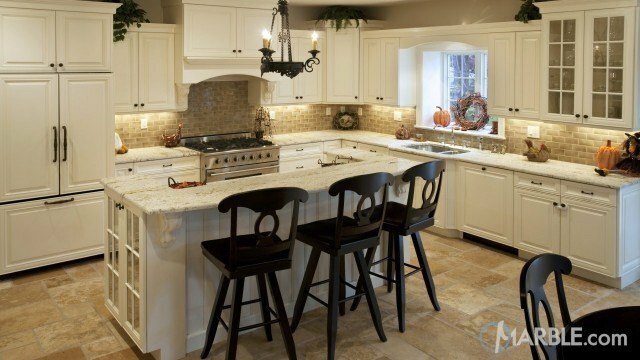 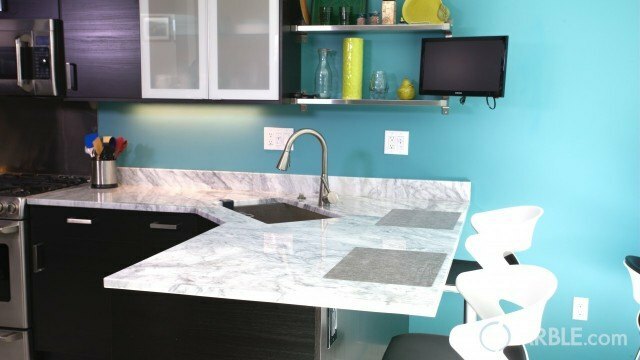 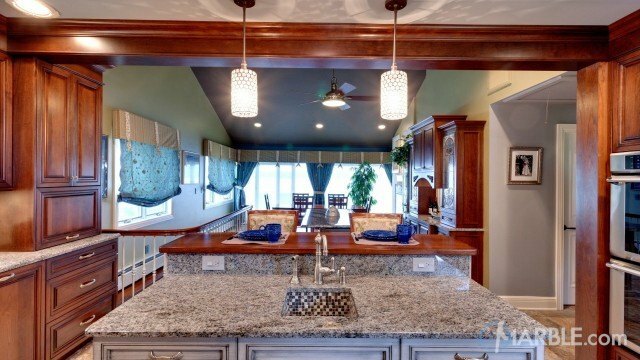 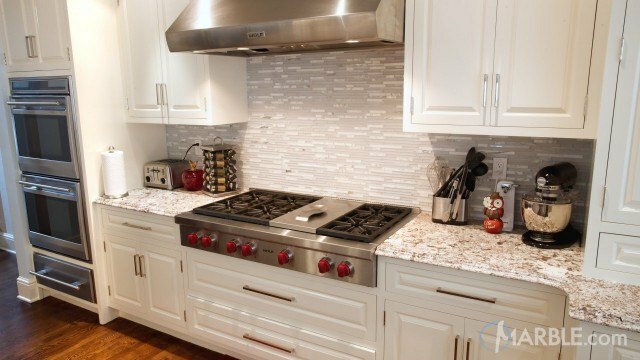 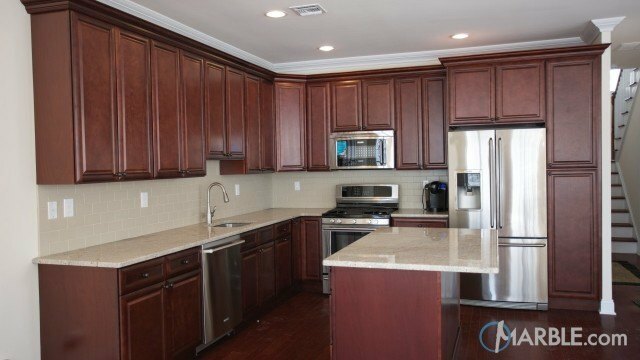 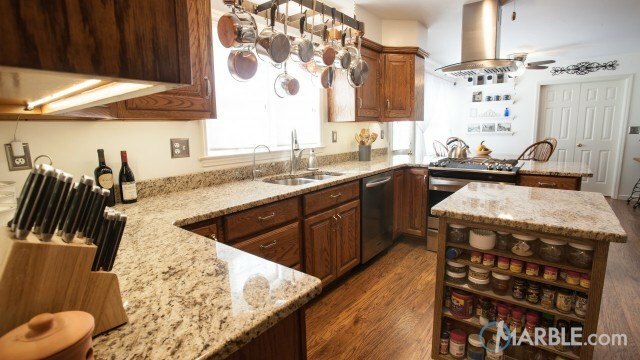 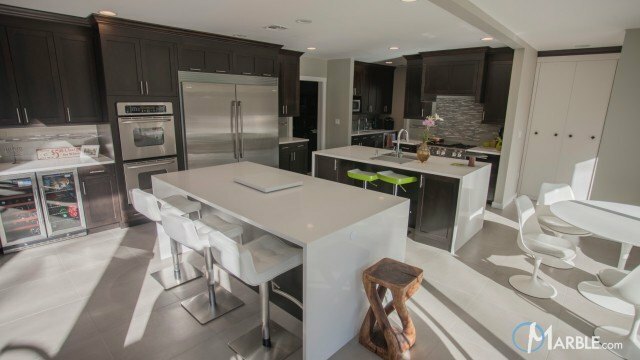 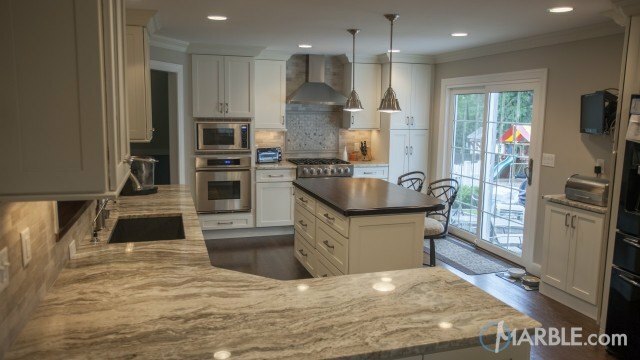 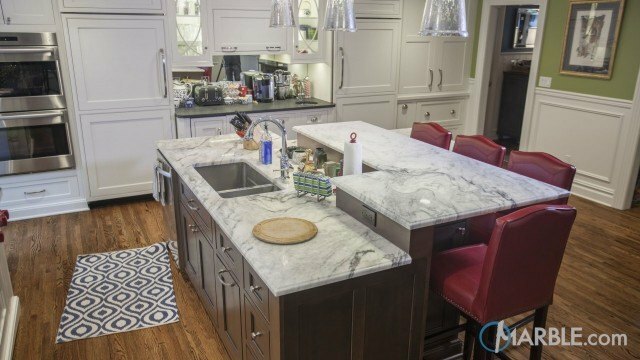 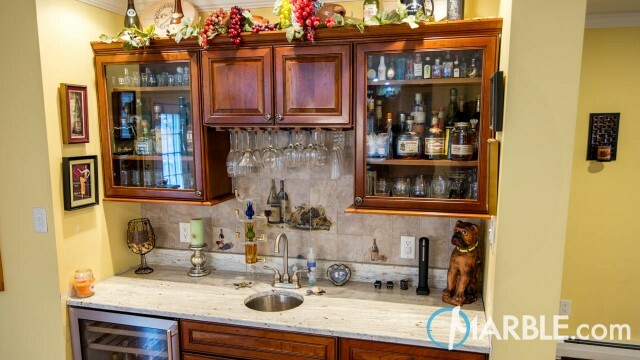 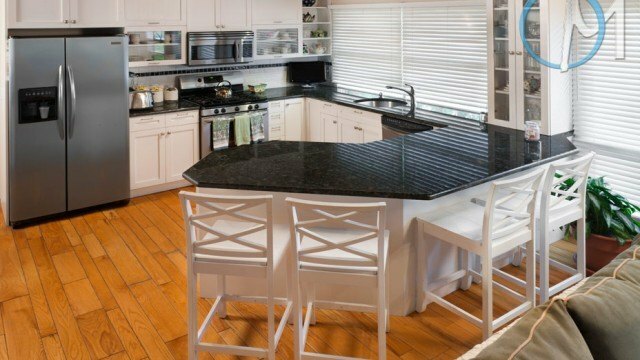 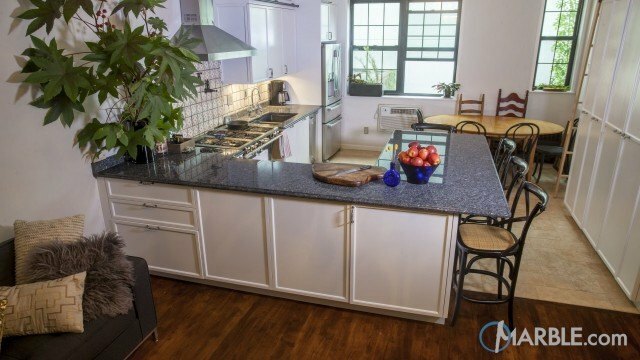 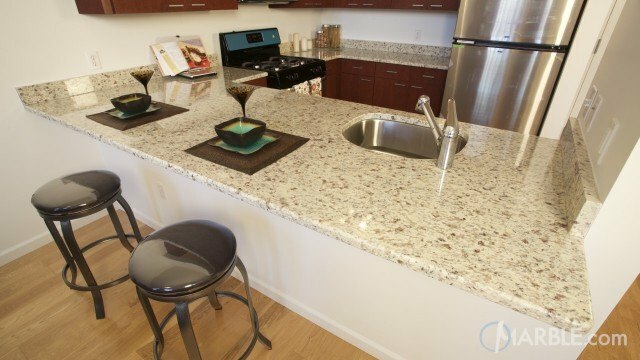 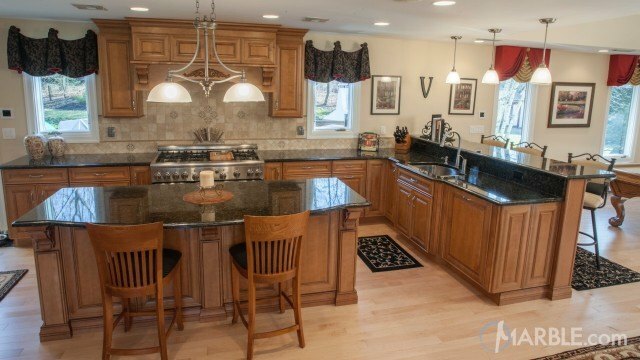 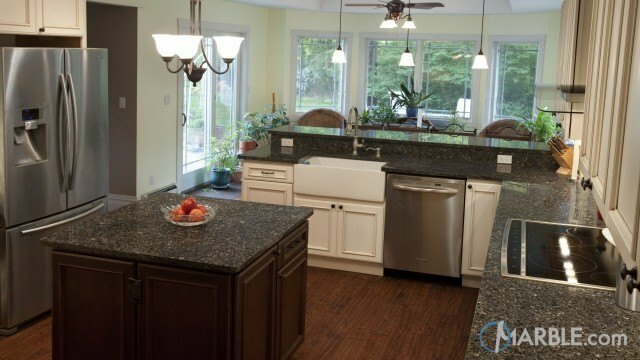 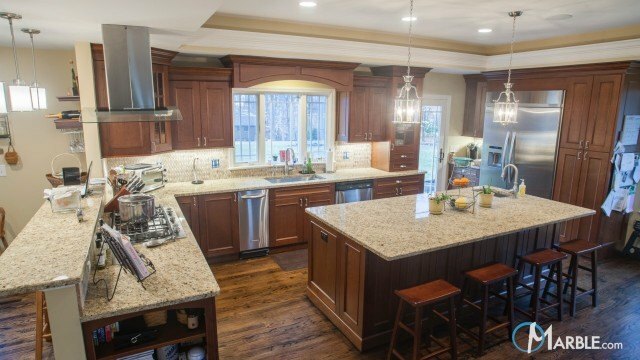 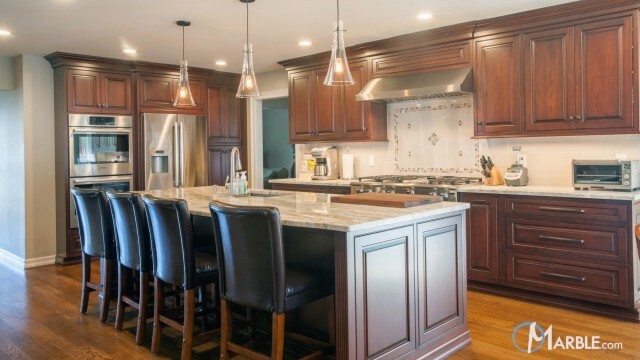 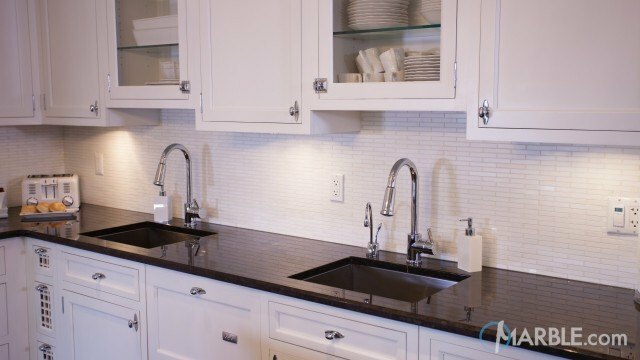 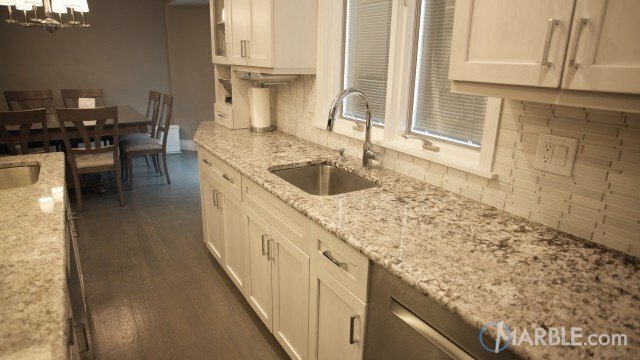 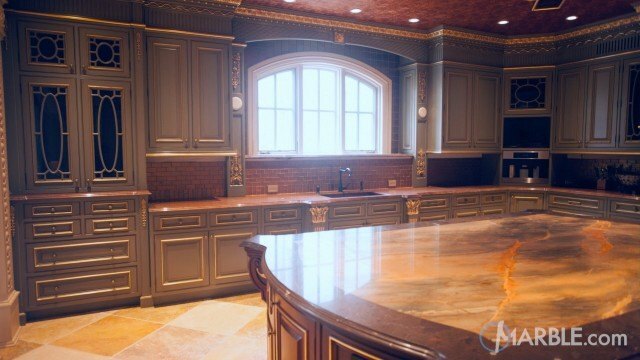 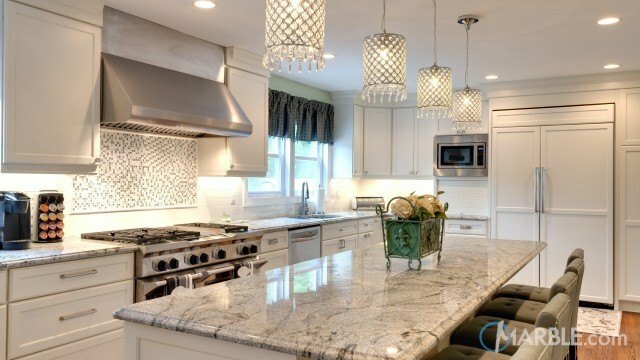 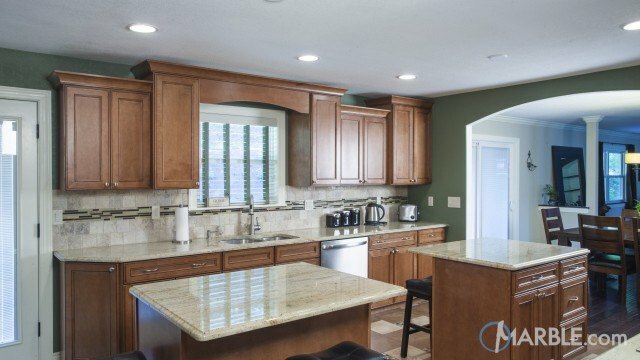 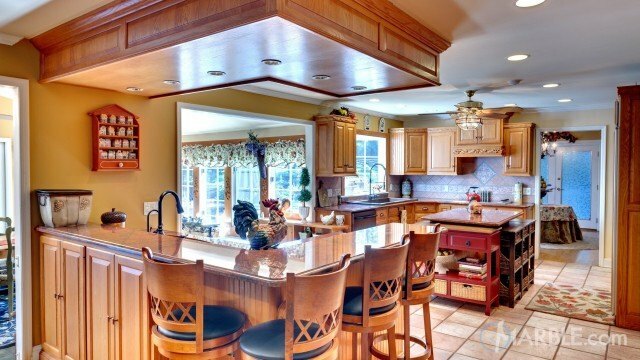 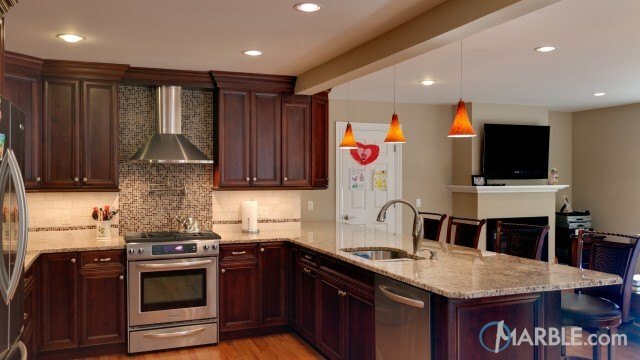 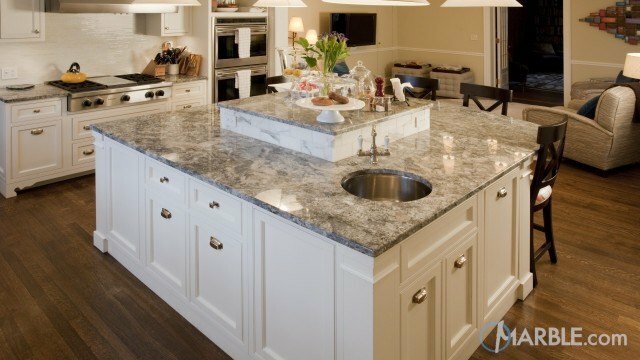 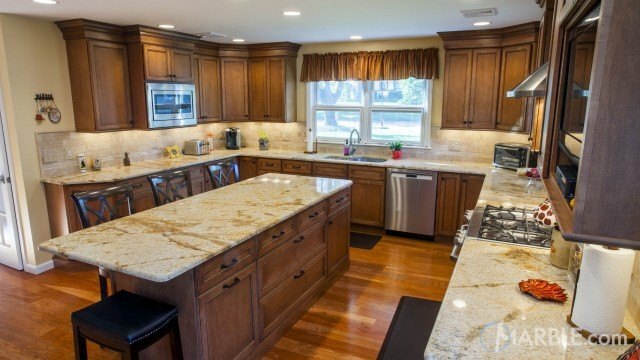 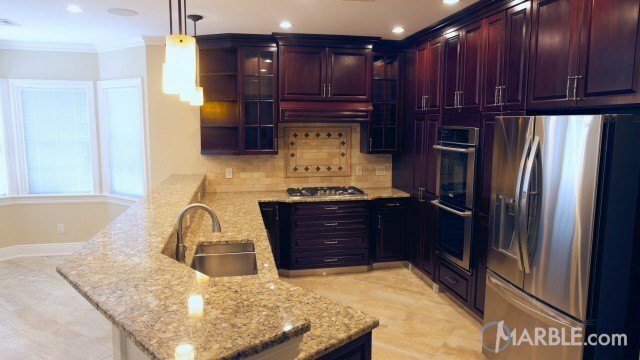 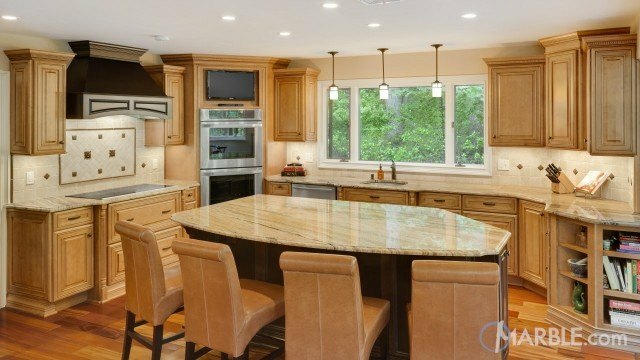 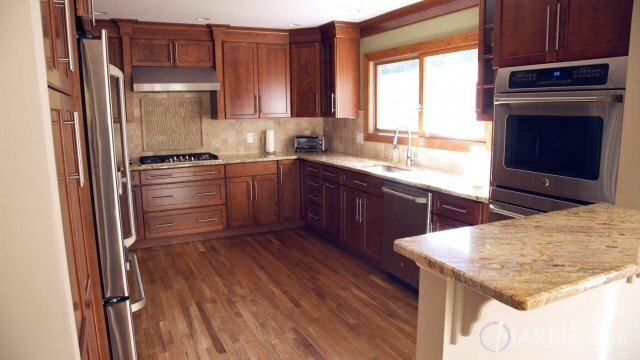 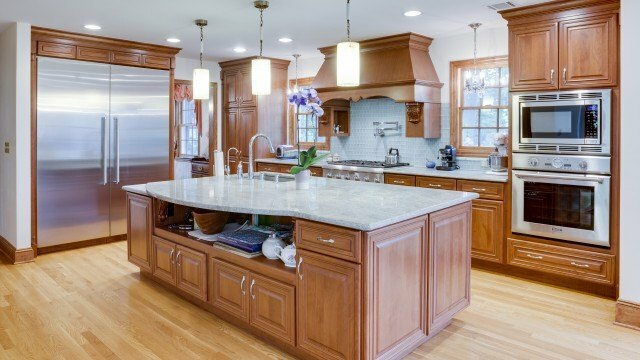 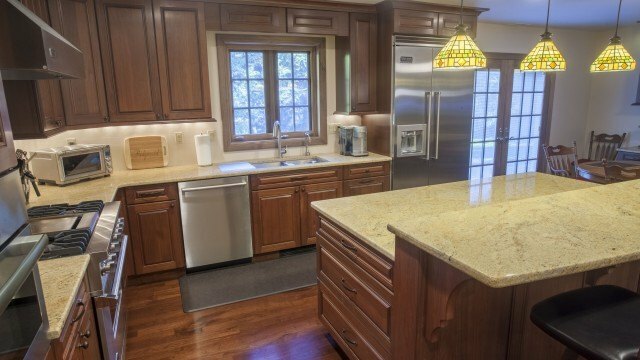 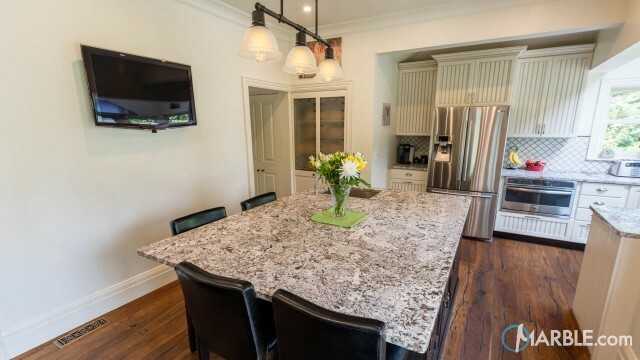 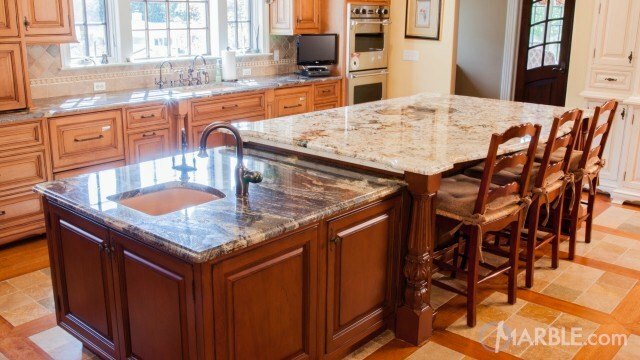 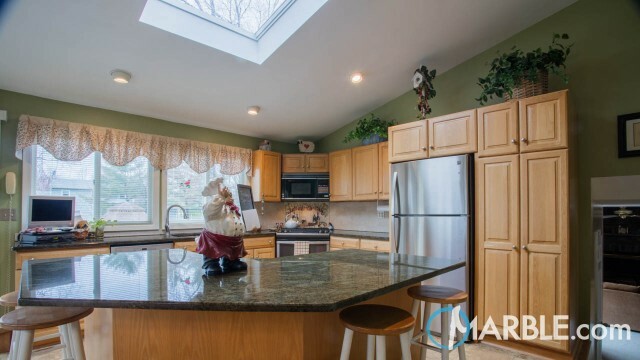 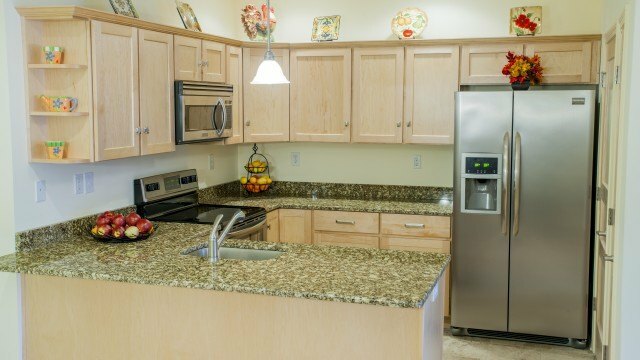 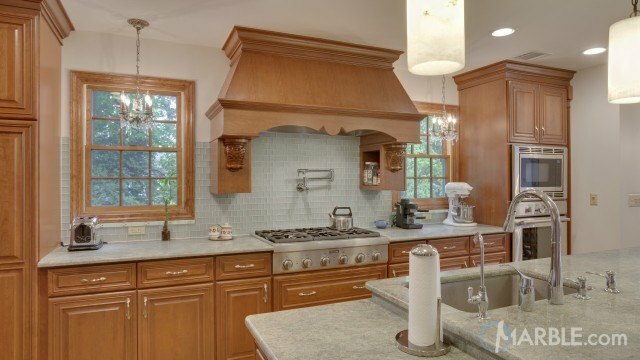 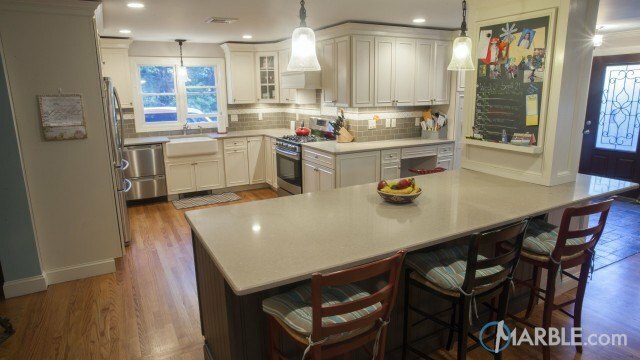 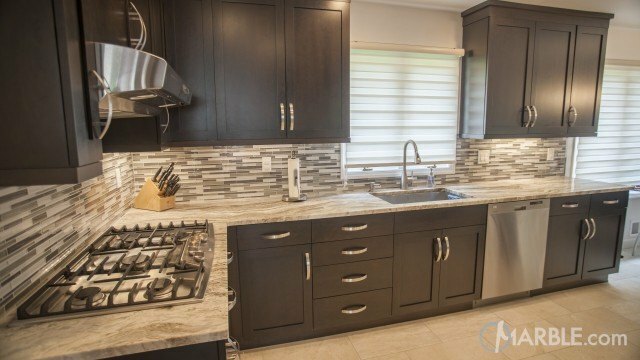 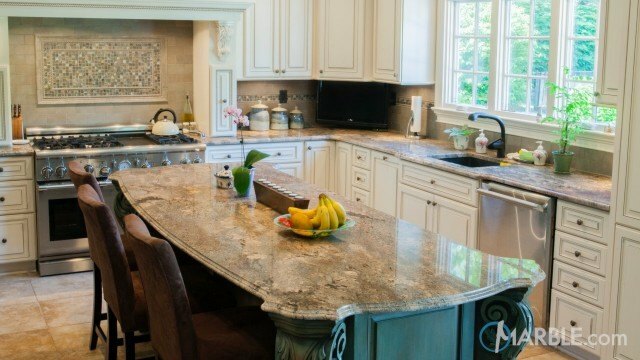 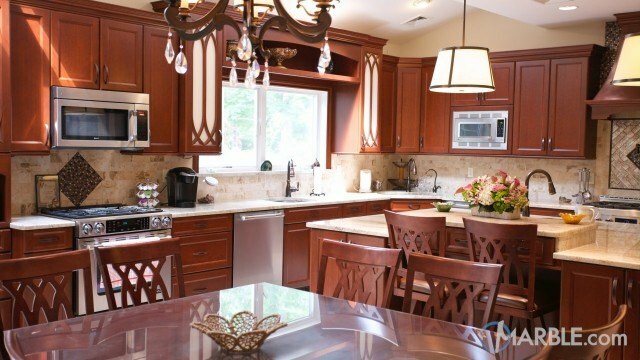 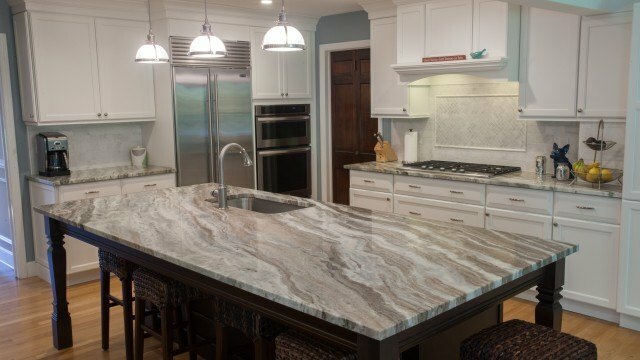 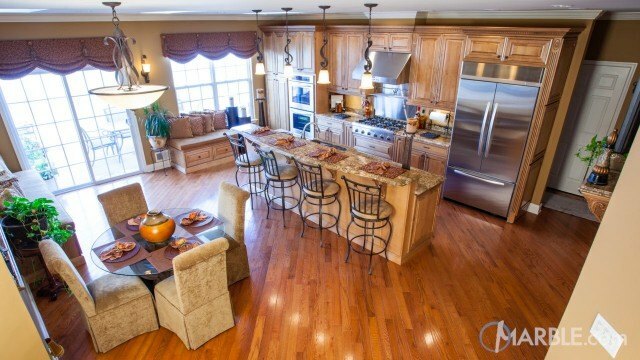 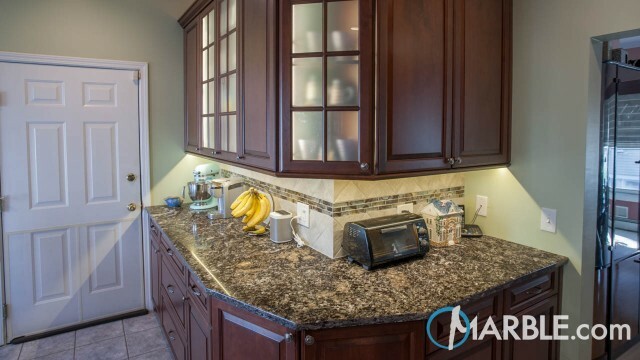 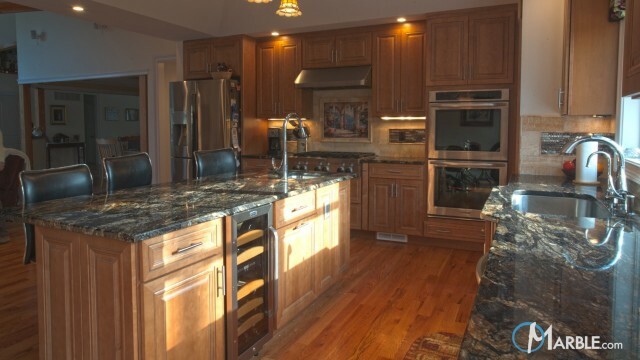 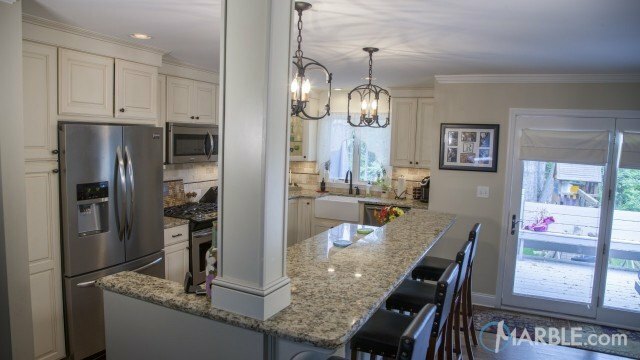 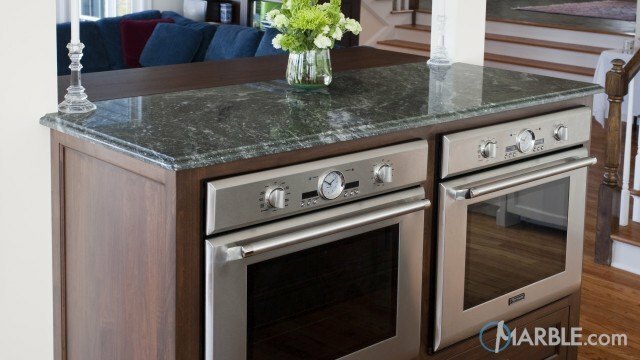 The island’s counter top provides a place to eat, prepare food and socialize with guests.